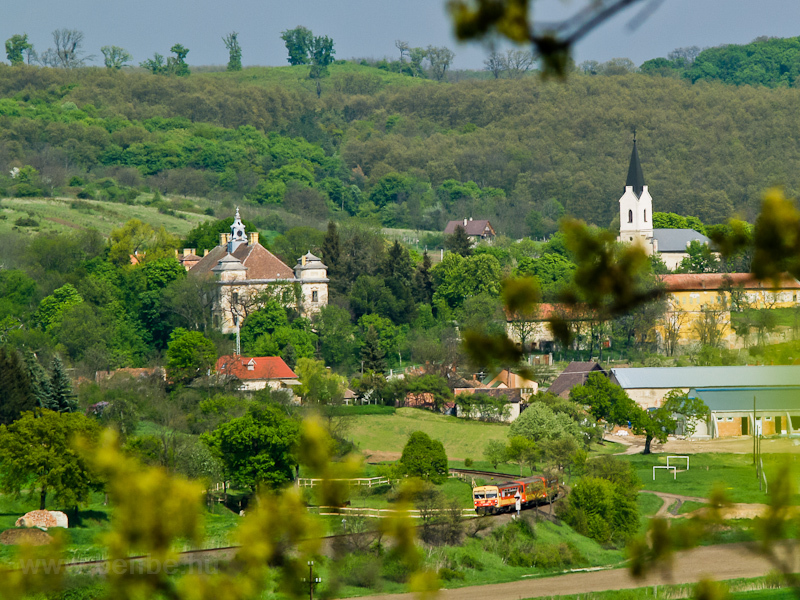 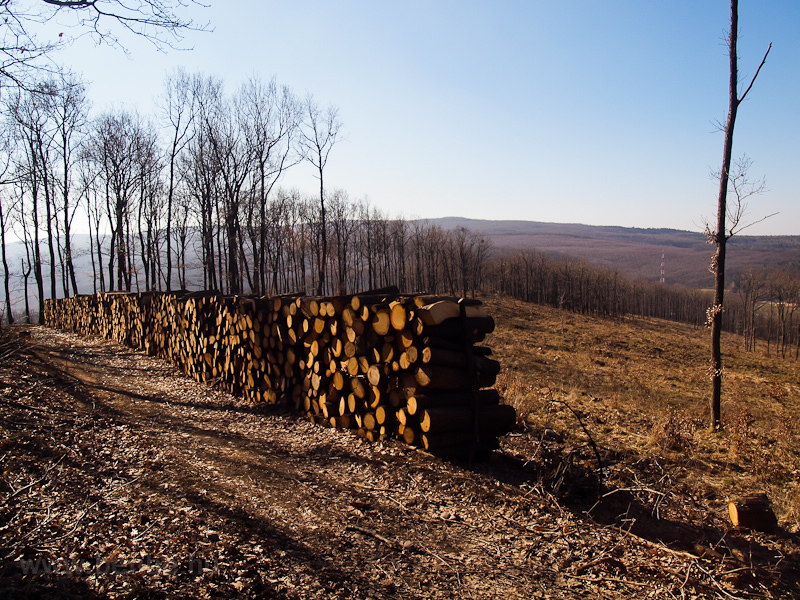 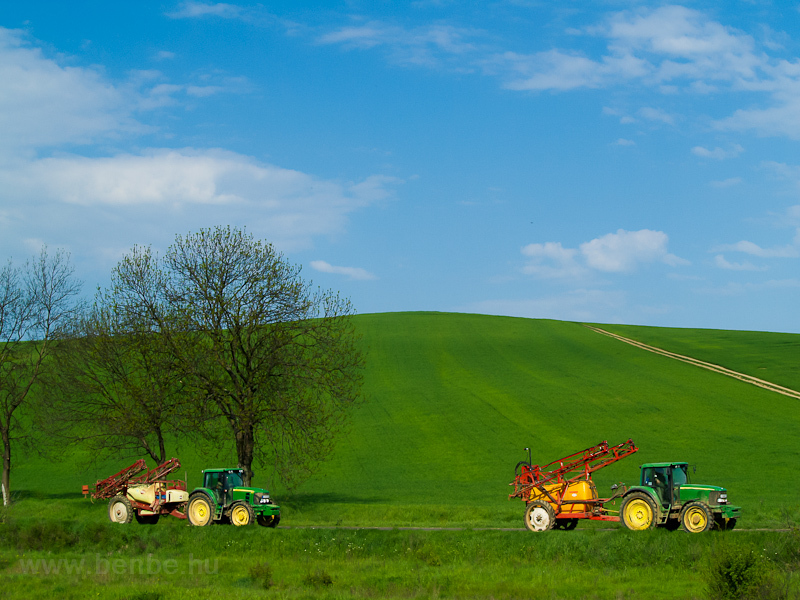 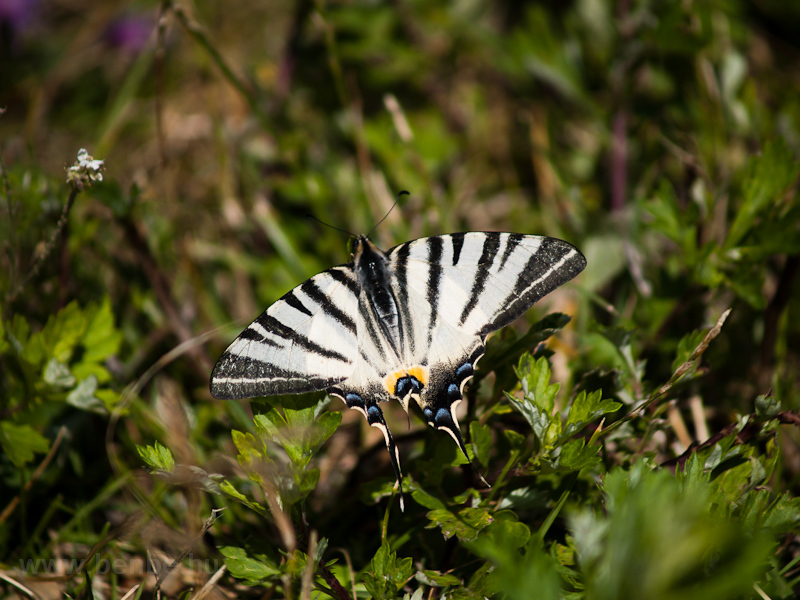 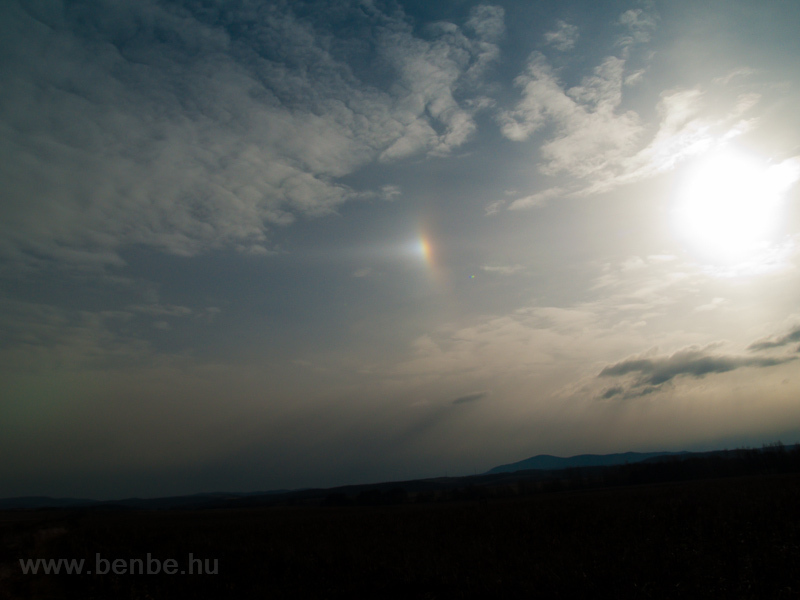 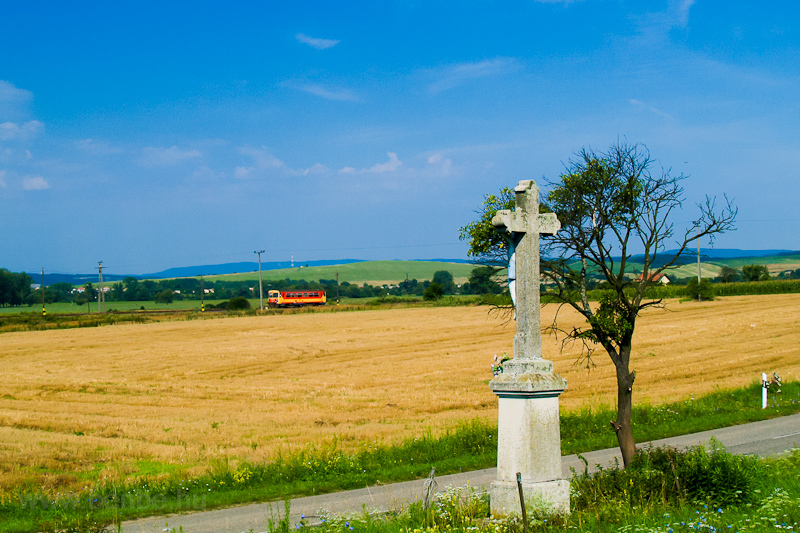 The 200th gallery demonstrates the variety of the landscape of the Nógrád region again. 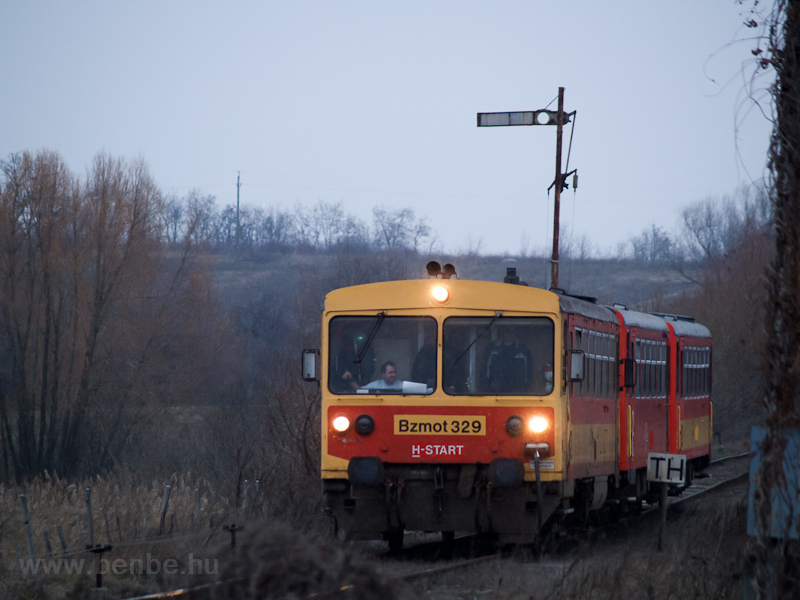 This is the 200th album at benbe.hu, which was launched at July, 2005, so quite a few years ago. 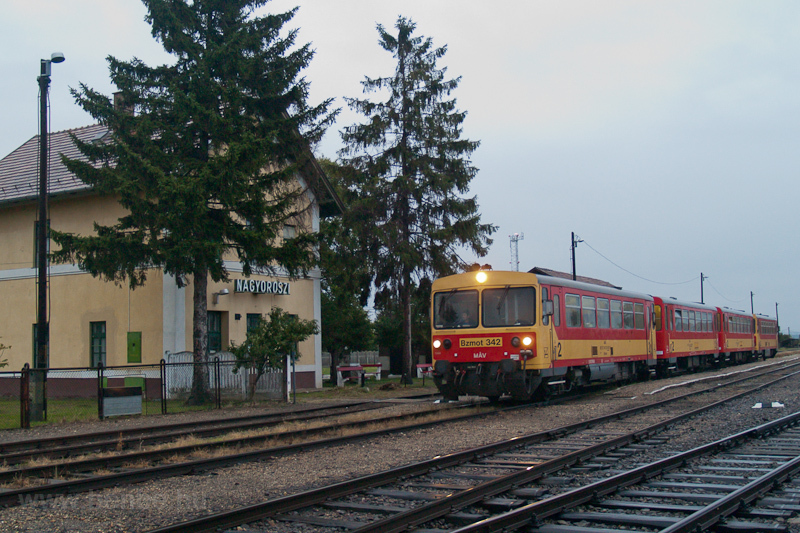 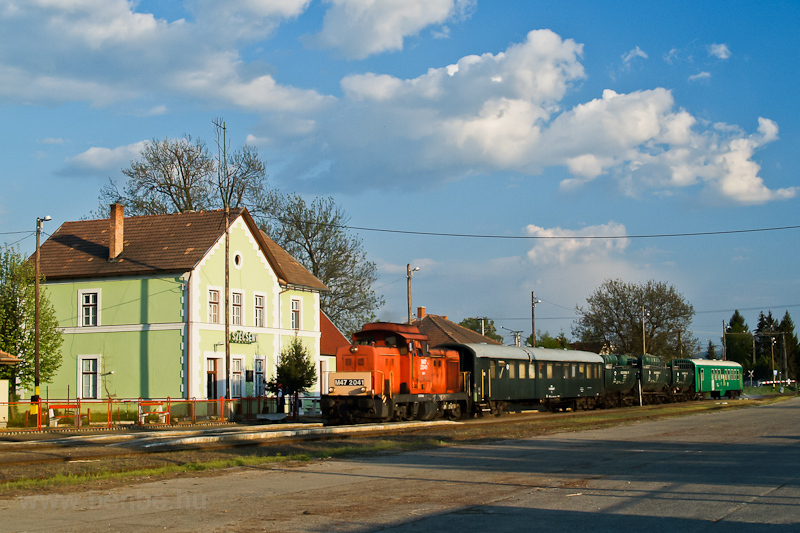 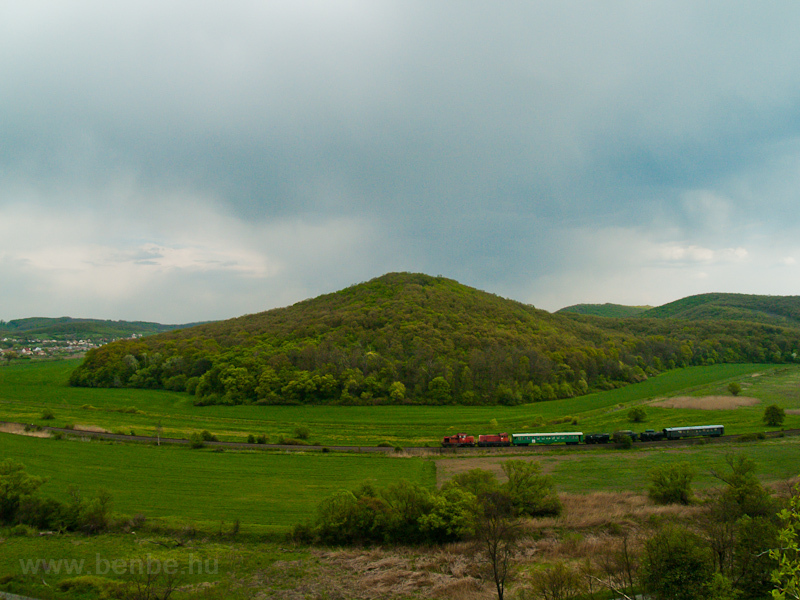 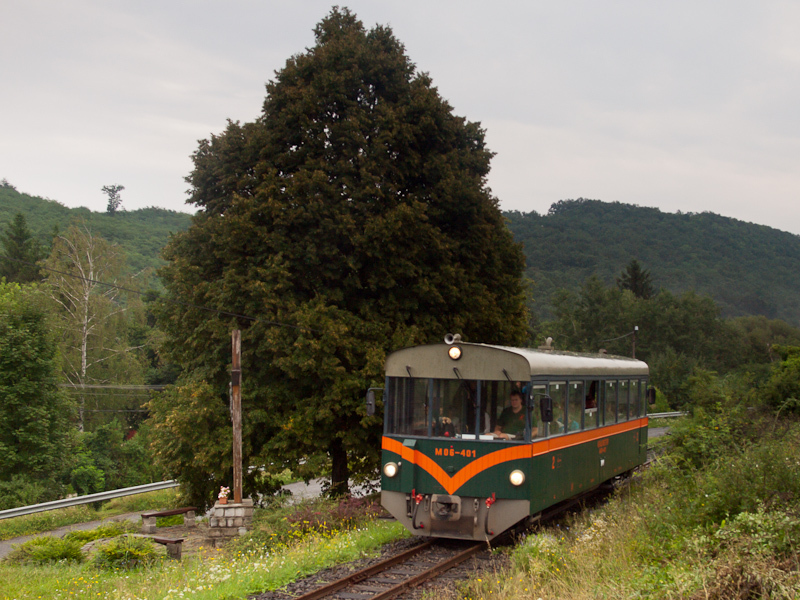 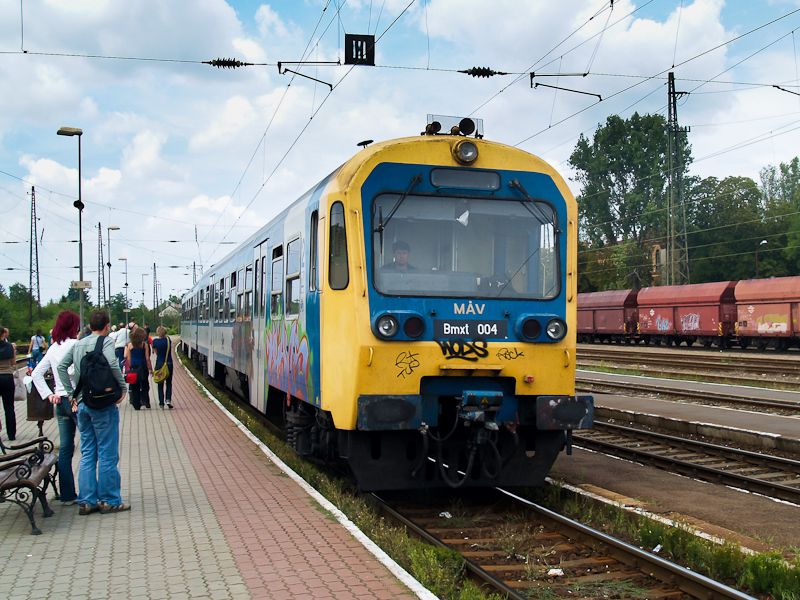 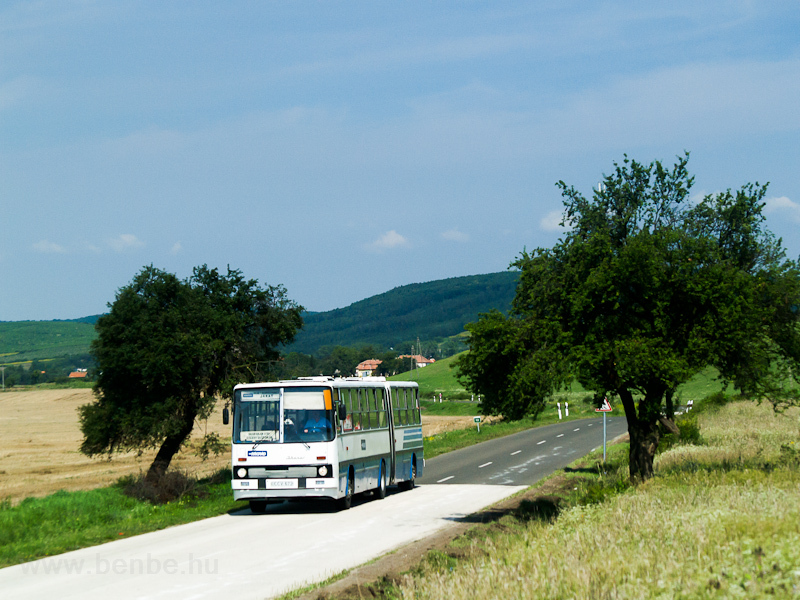 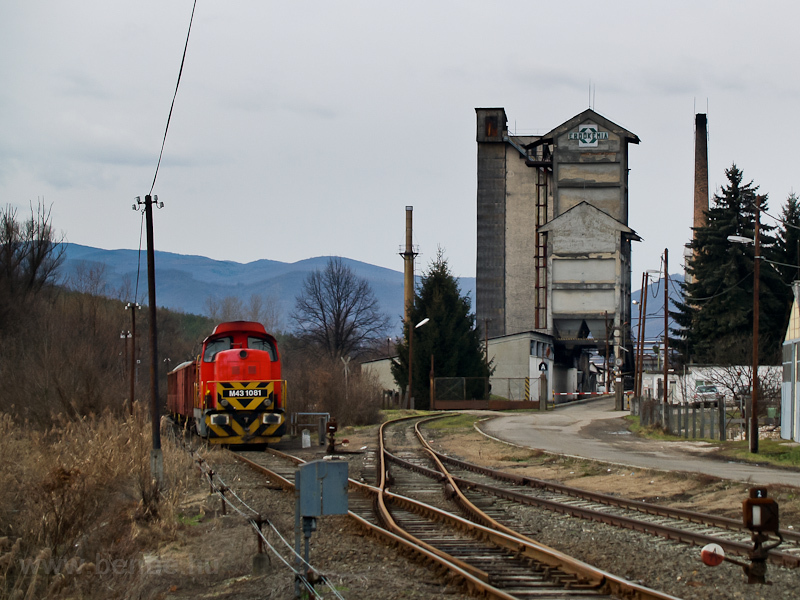 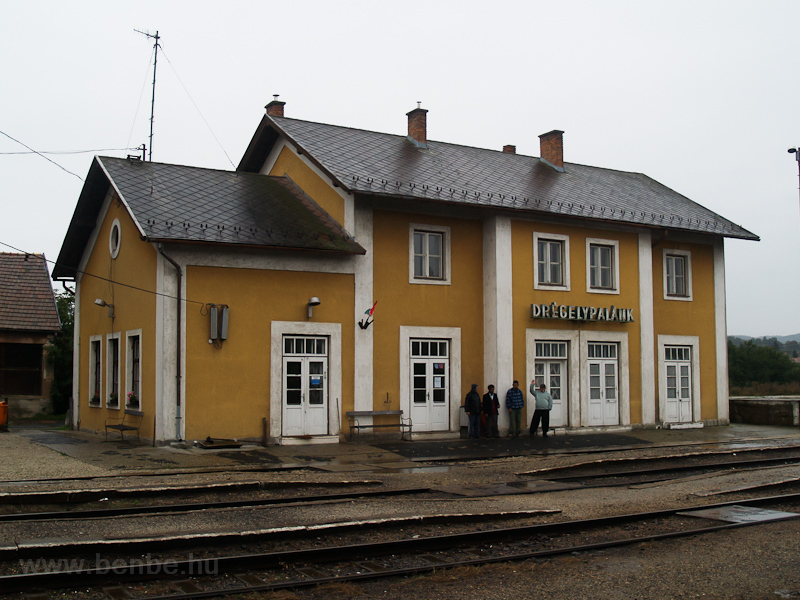 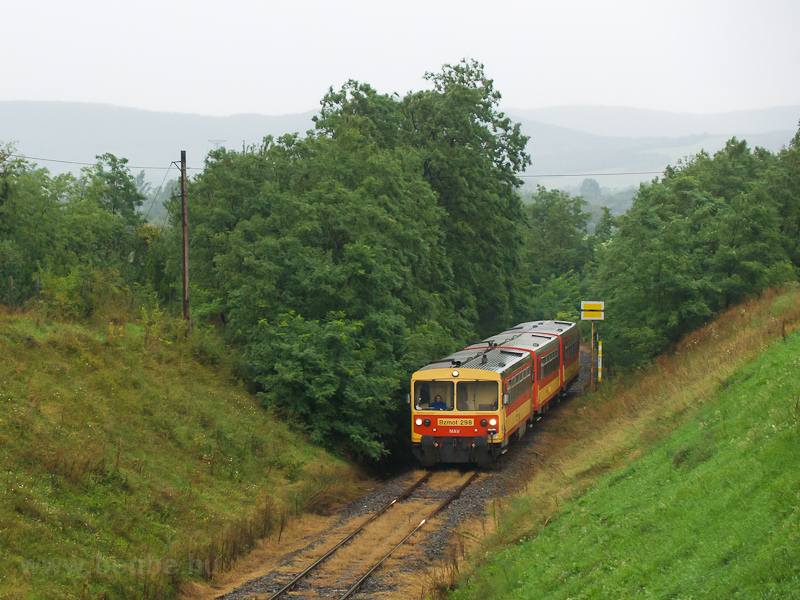 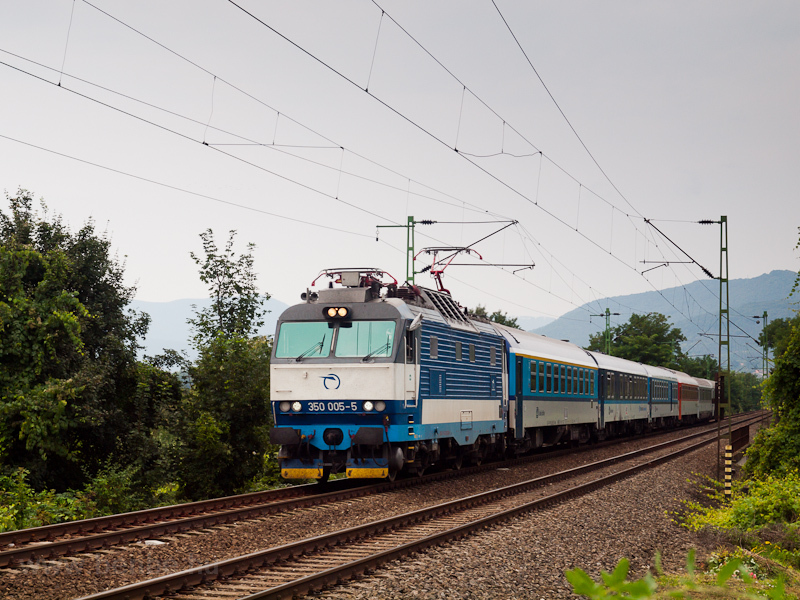 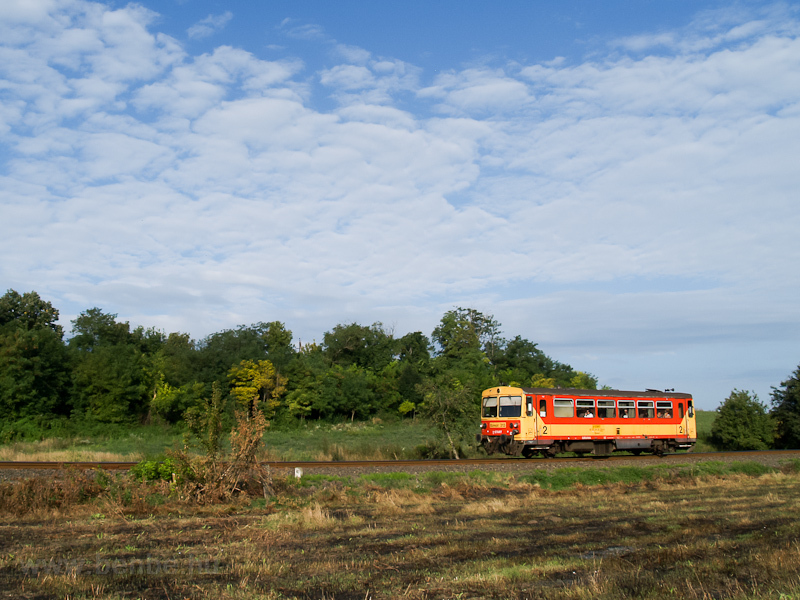 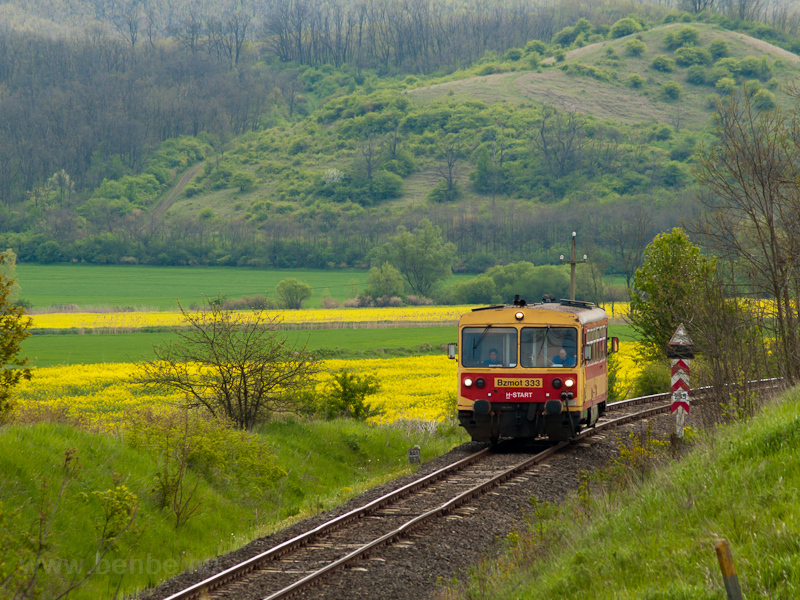 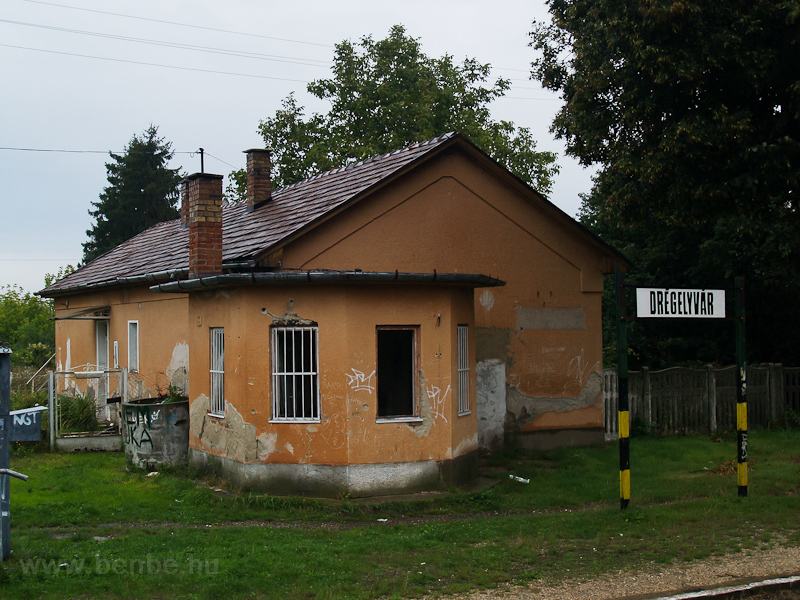 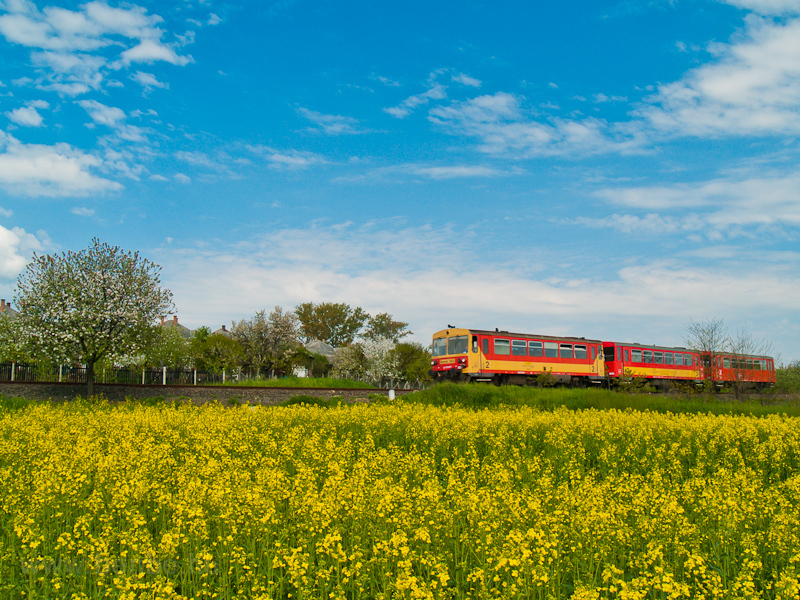 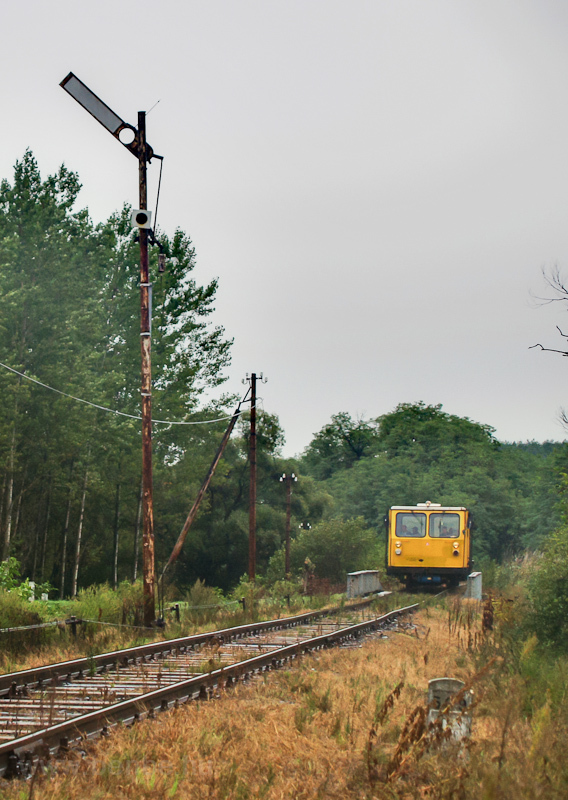 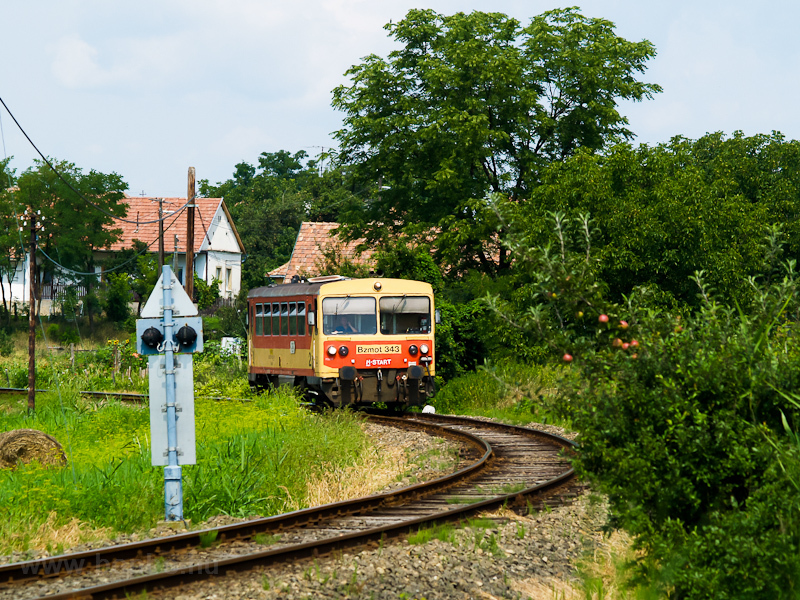 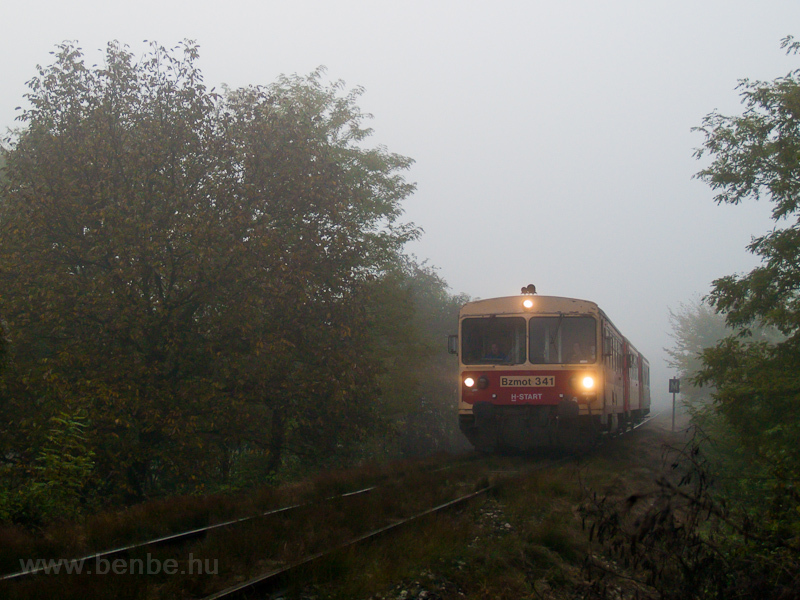 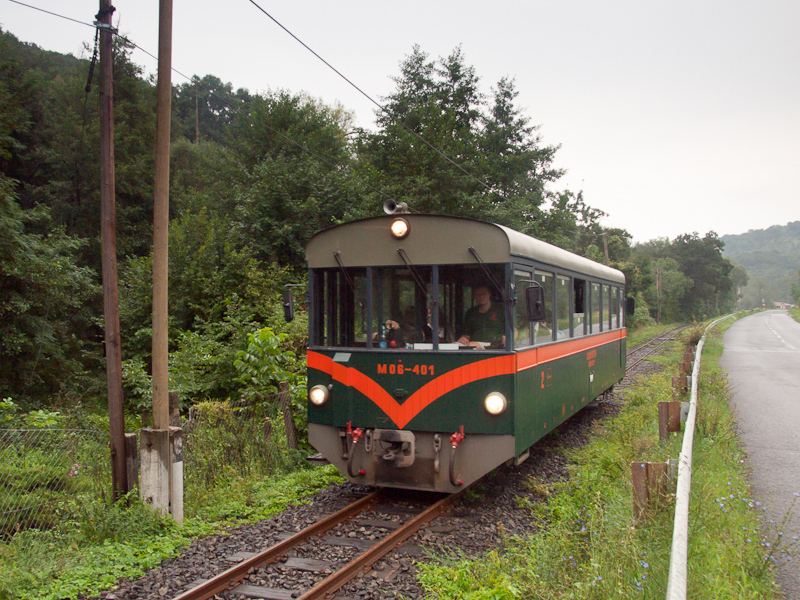 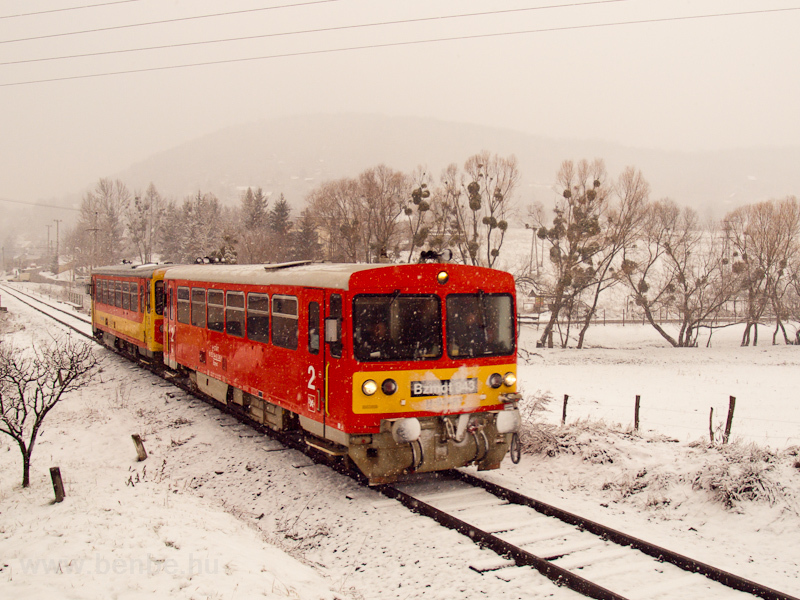 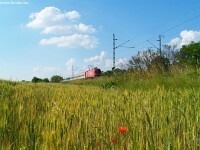 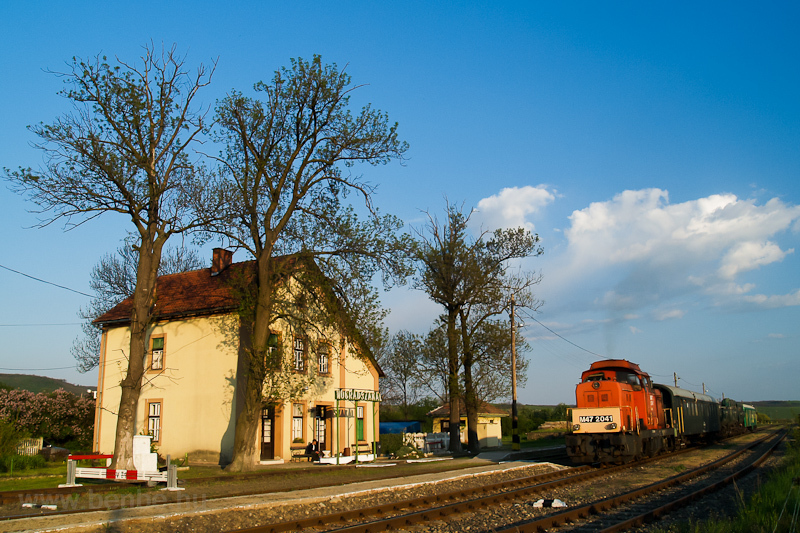 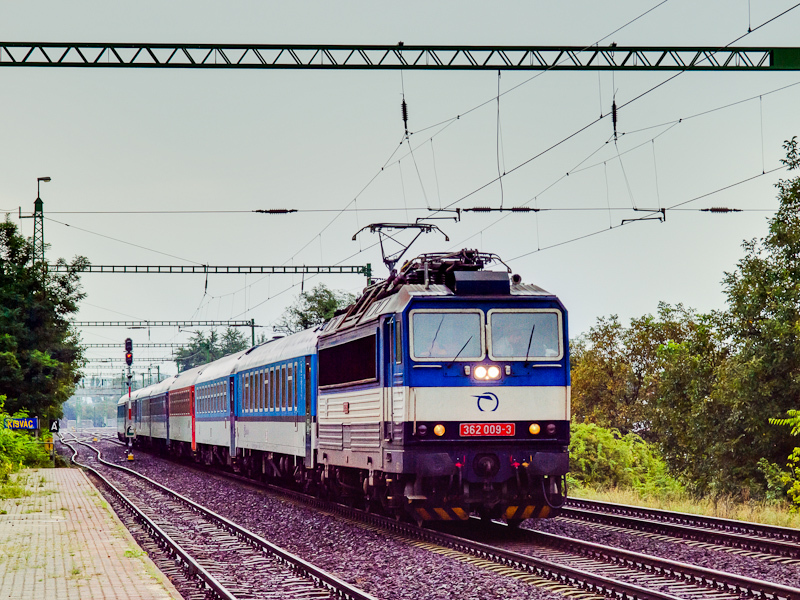 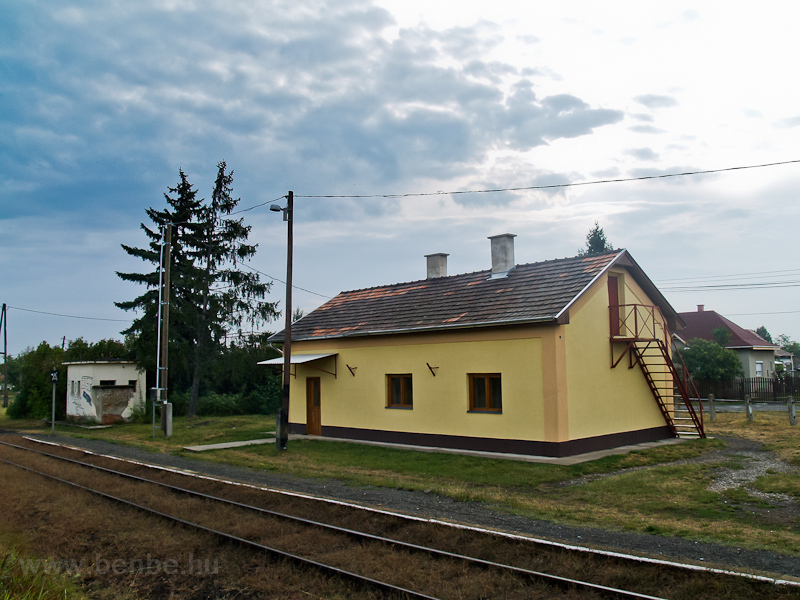 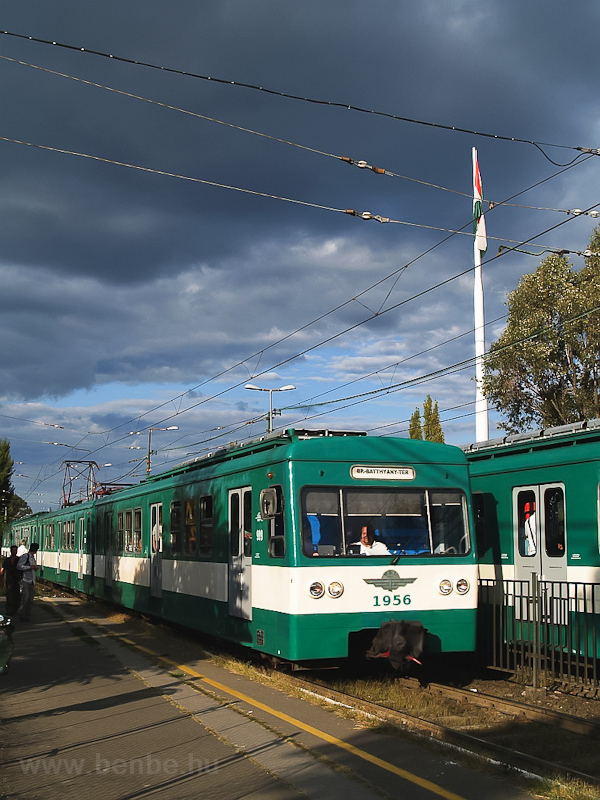 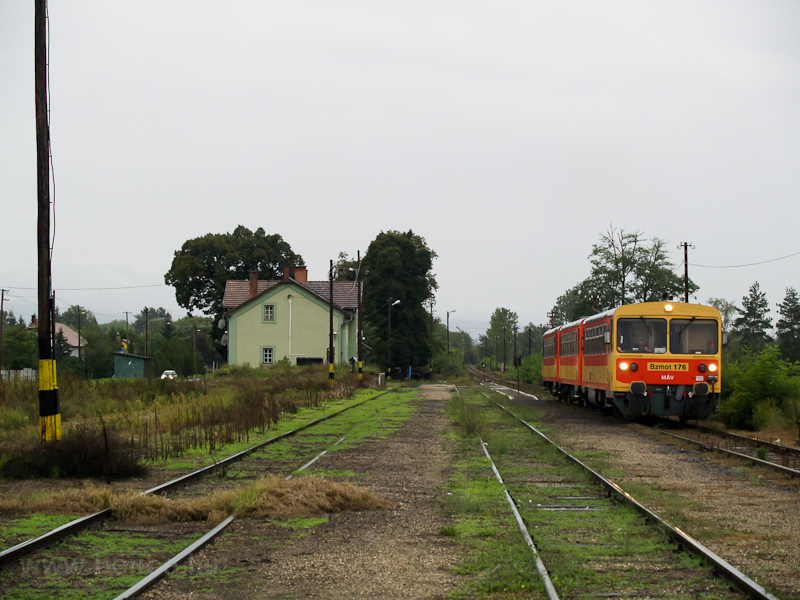 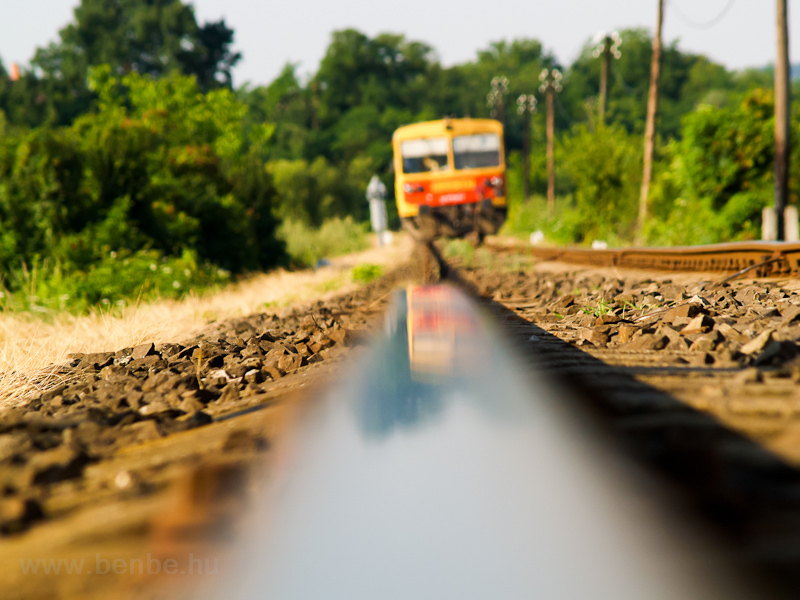 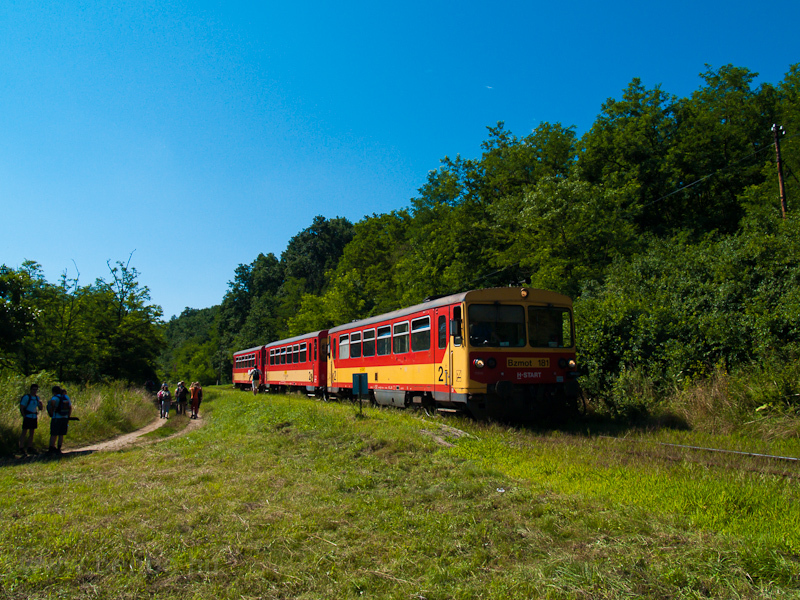 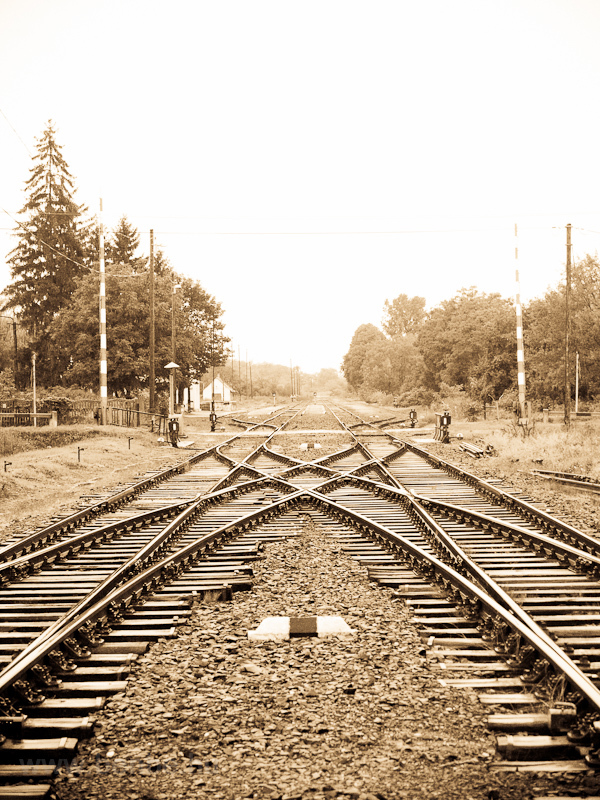 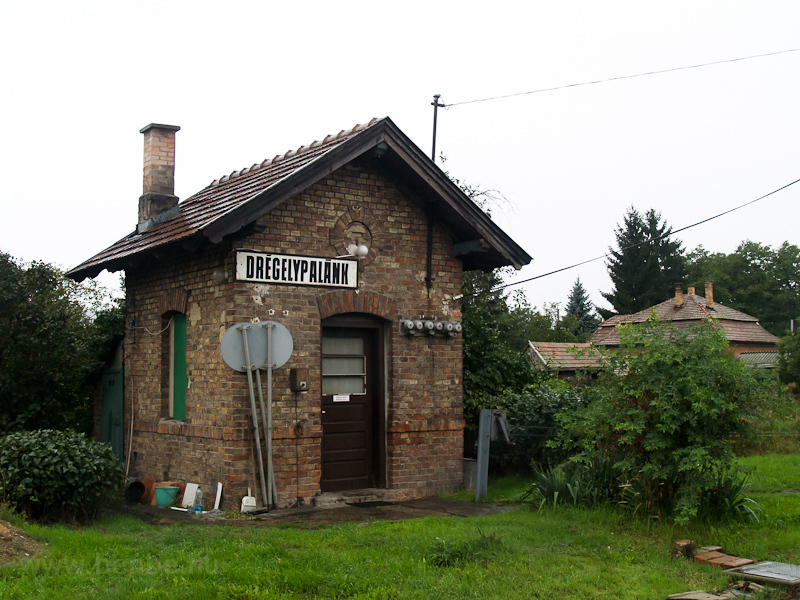 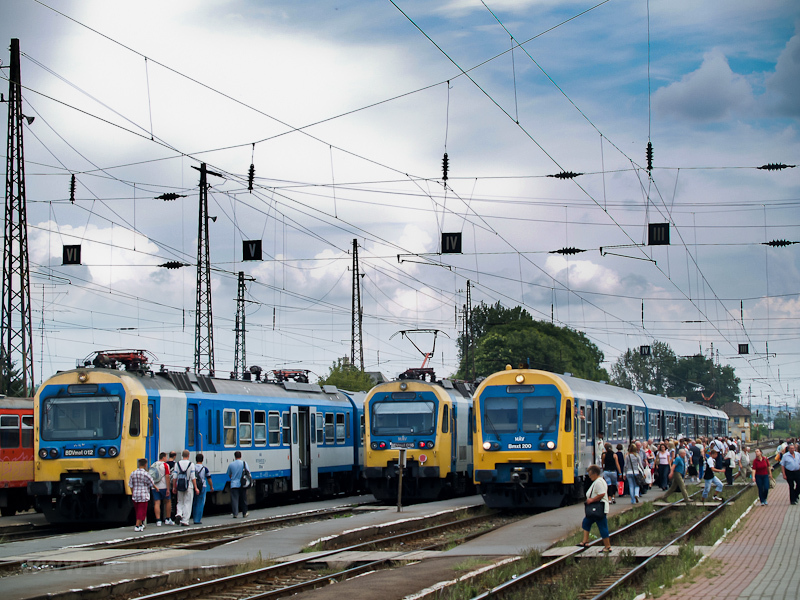 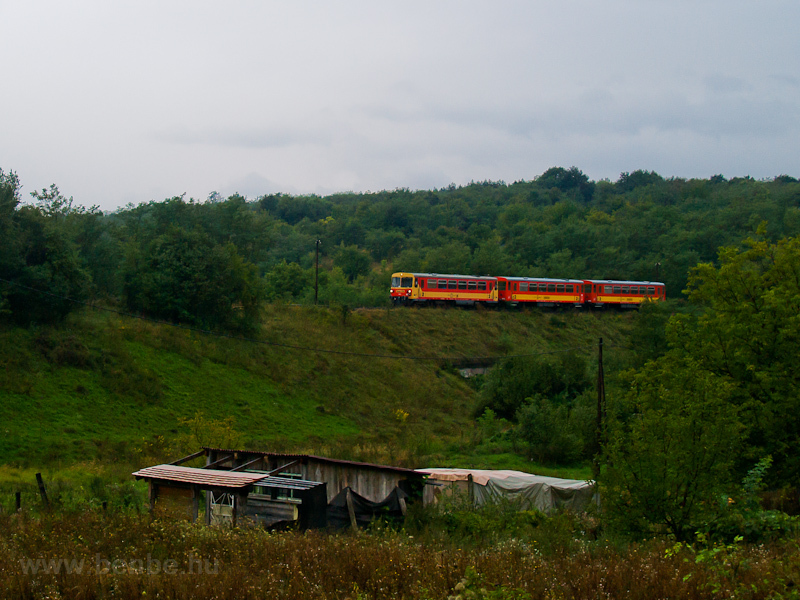 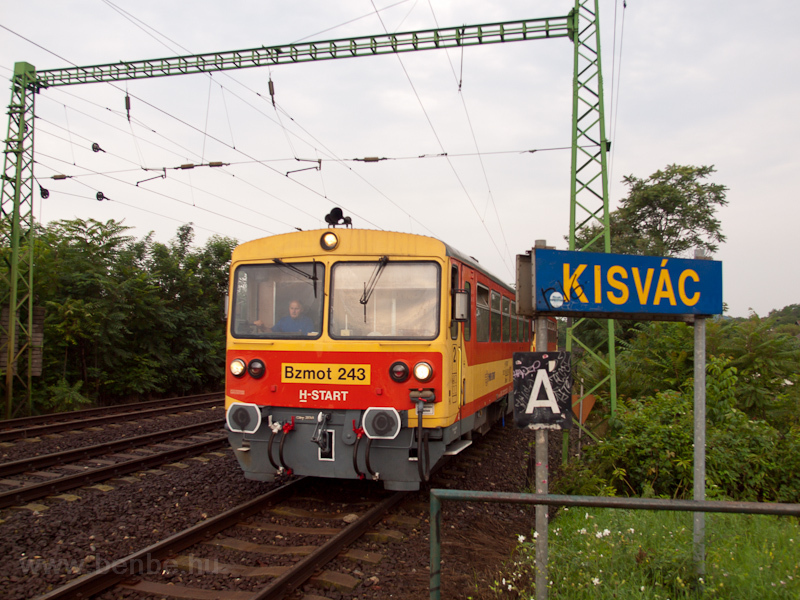 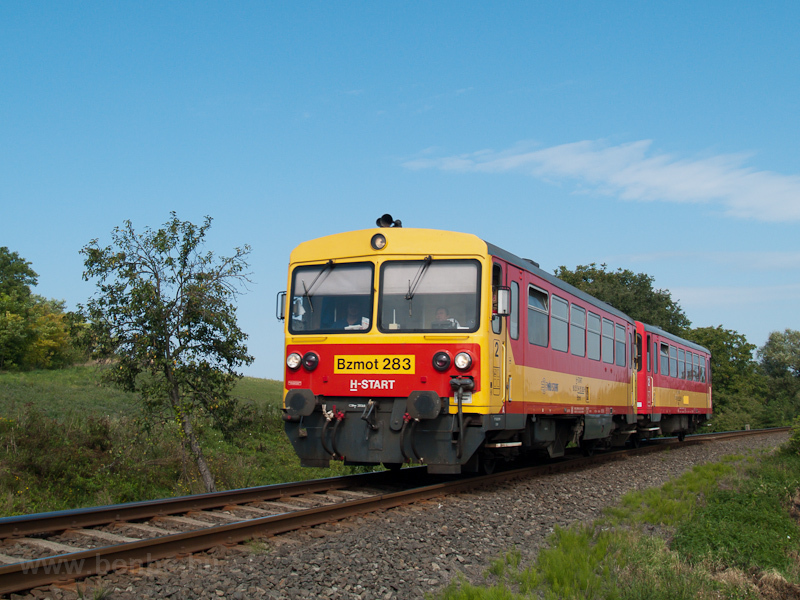 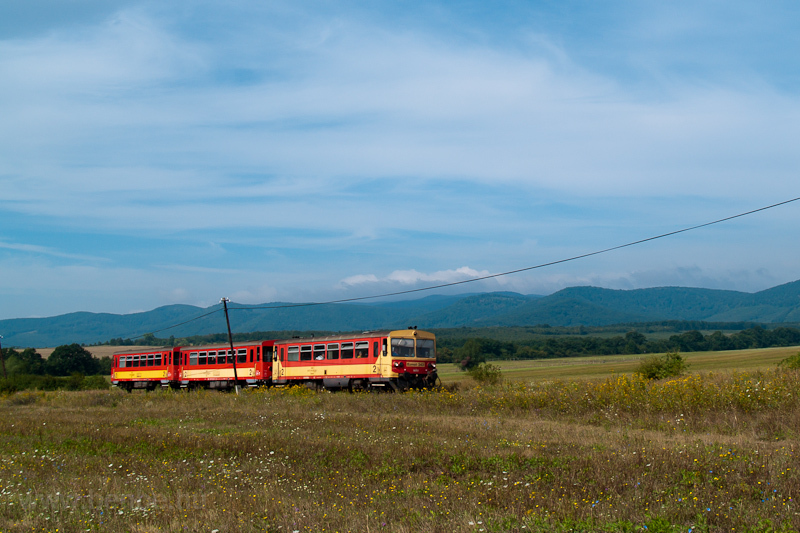 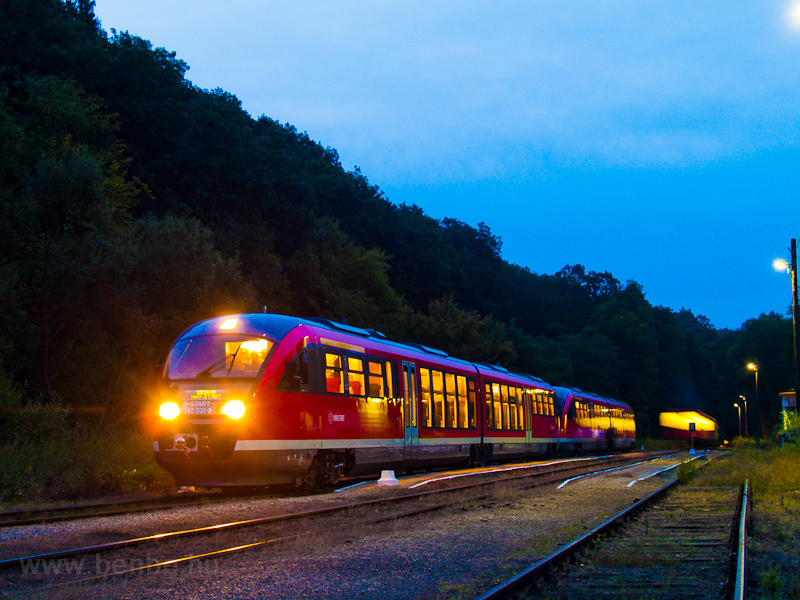 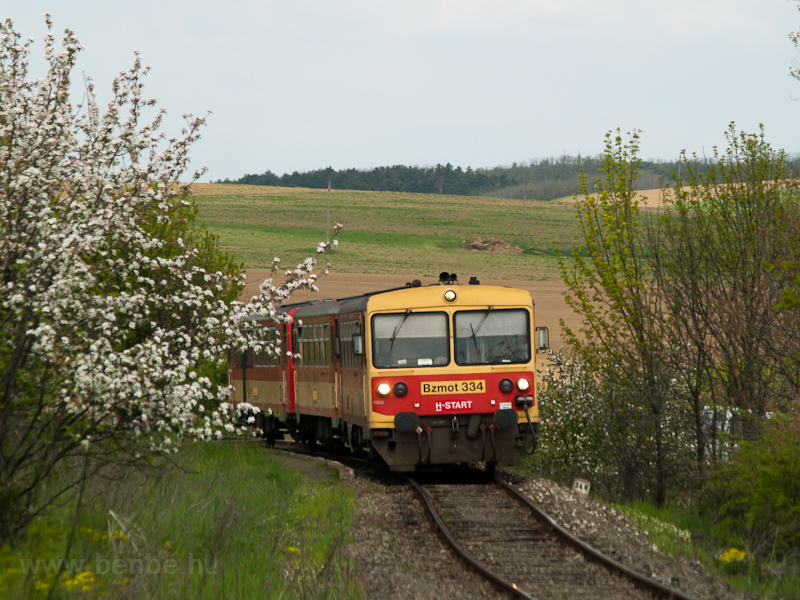 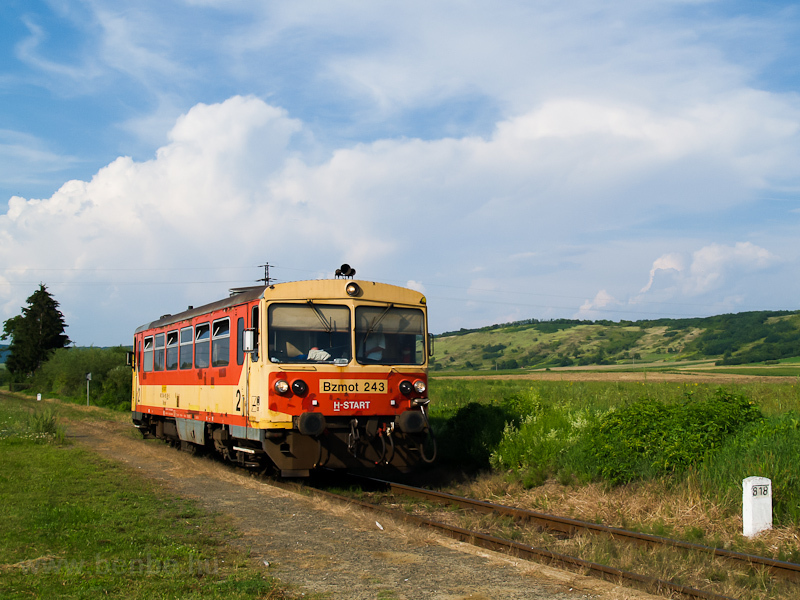 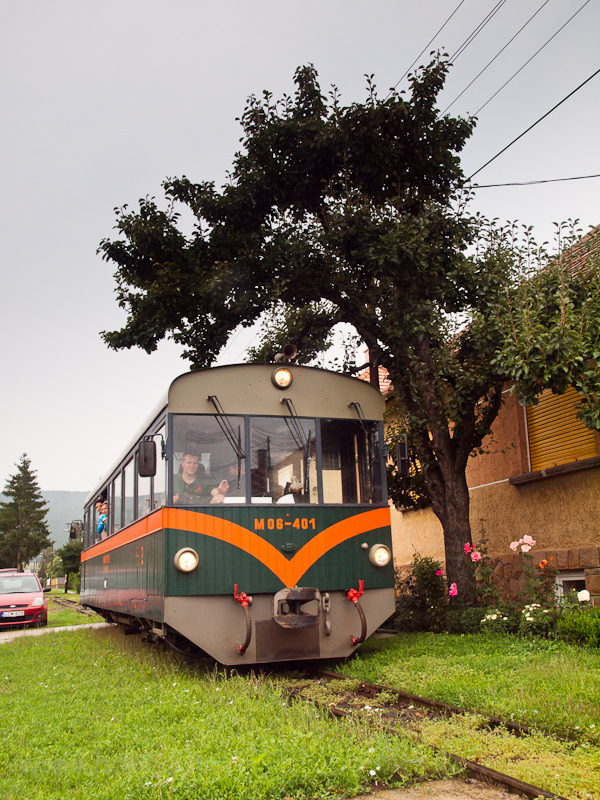 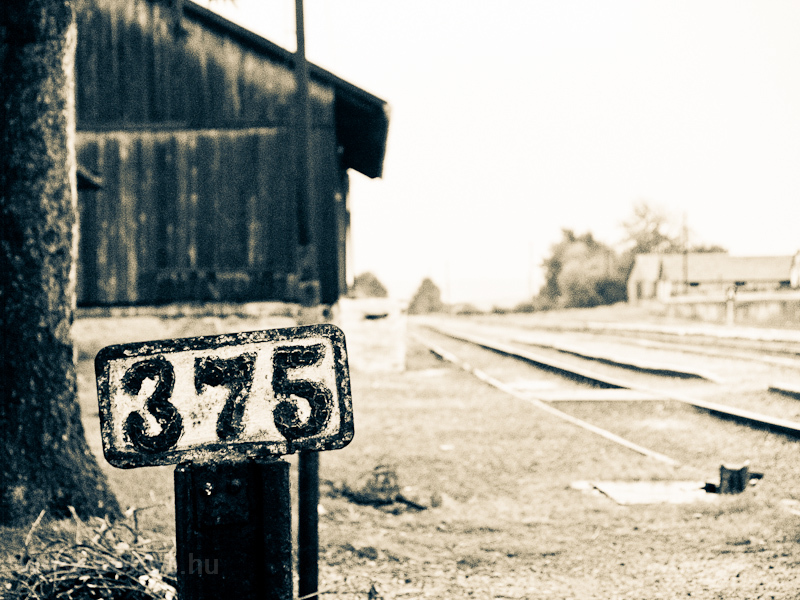 In this album I return to the Nógrád region consisting of four main lines (line 75 from Vác to Balassagyarmat, its branch, the now suspended line 76 from Diósjenő to Romhány, the line 78 from Aszód to Balassagyarmat and its quite rarely served extension 78b to Ipolytarnóc), one of my favourite regions in Hungary. 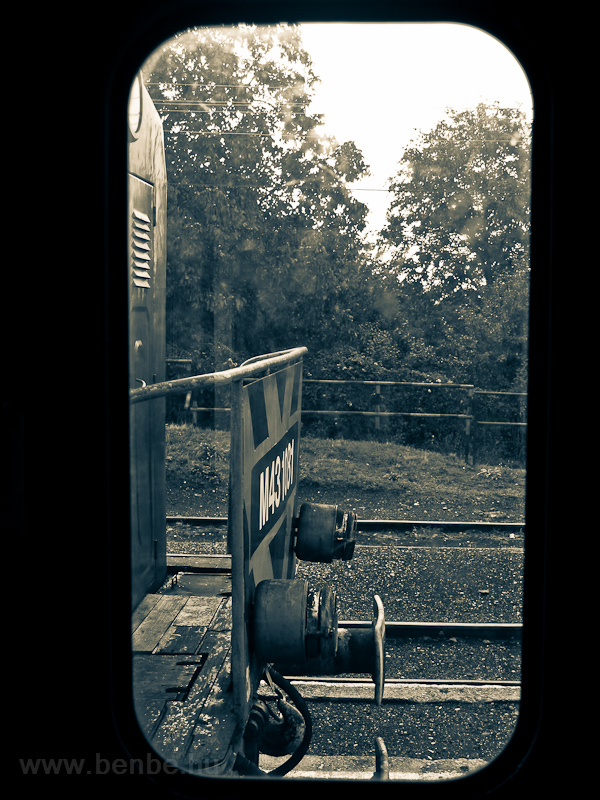 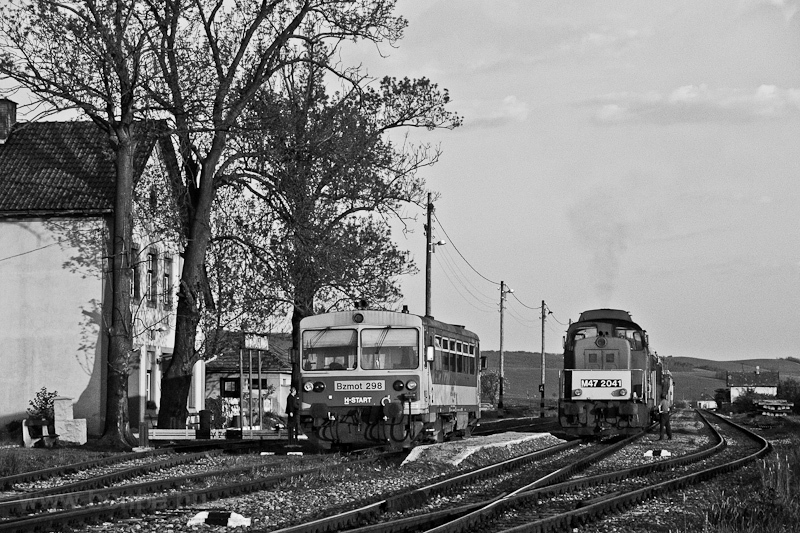 Some of the images are fairly old, but reflect the unique scenery and the interesting freight and special workings of those days. 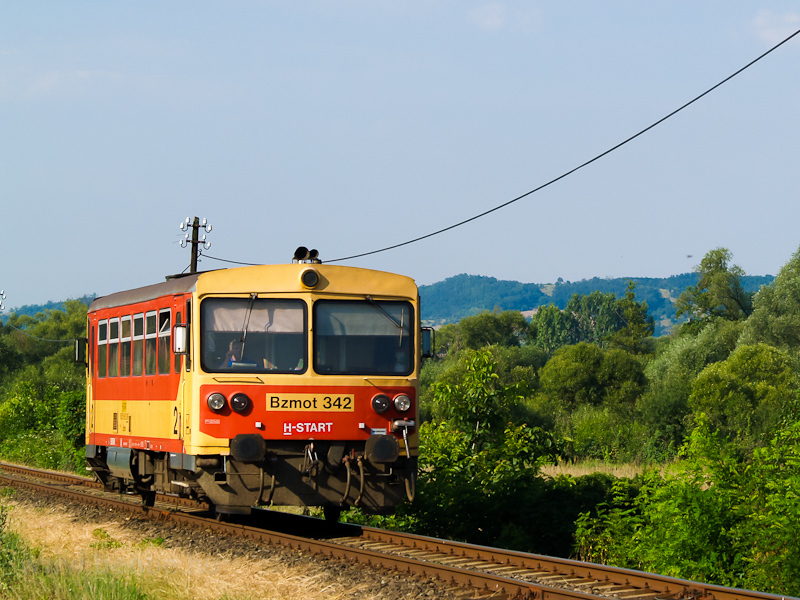 Now the region is mostly limited to Bzmot railcars and those only on line 75 and 78, 78b serving like two trains a day and 76 shut down. 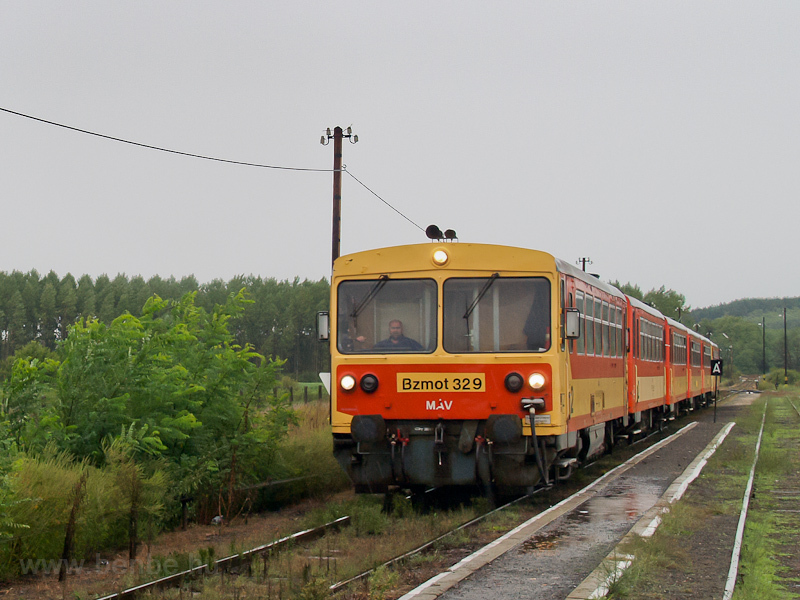 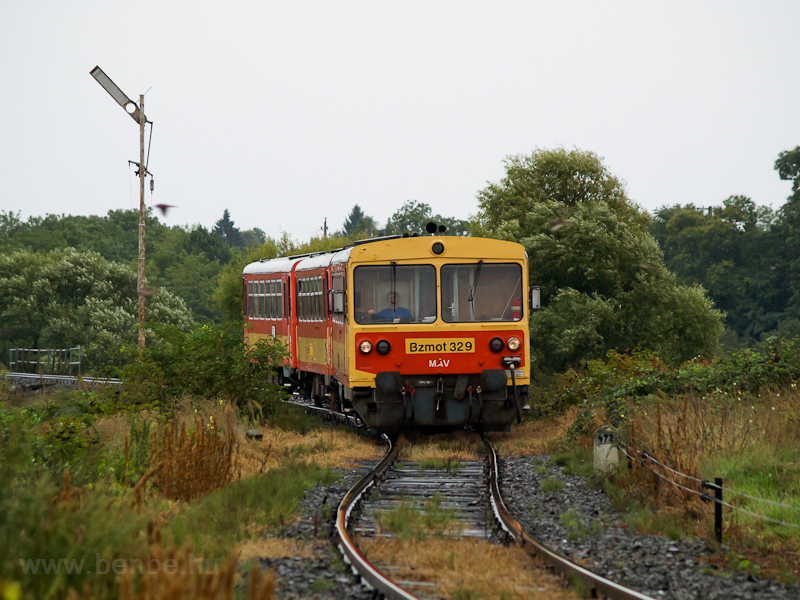 The only interesting thing to see is the Bzmot 343, a railcar repainted in the original red and yellow livery (mostly the less dynamic inverse of the current livery) which ironically this car neve wore as it is a newly built railcar, constructed from unmotorised trailers. 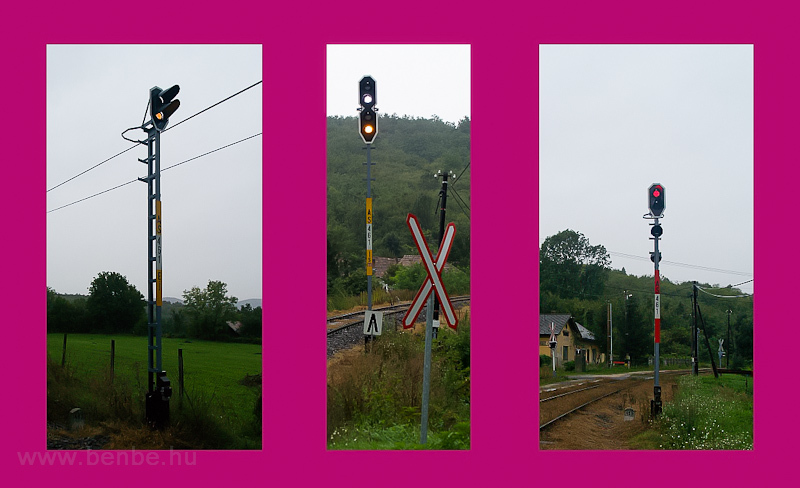 For this 200th album I've created a new design for the page, mostly just altering fonts and colours leaving the functionality the same, but still a little bit of fine tuning is necessary so during the time of the transition a few glitches are to be expected. 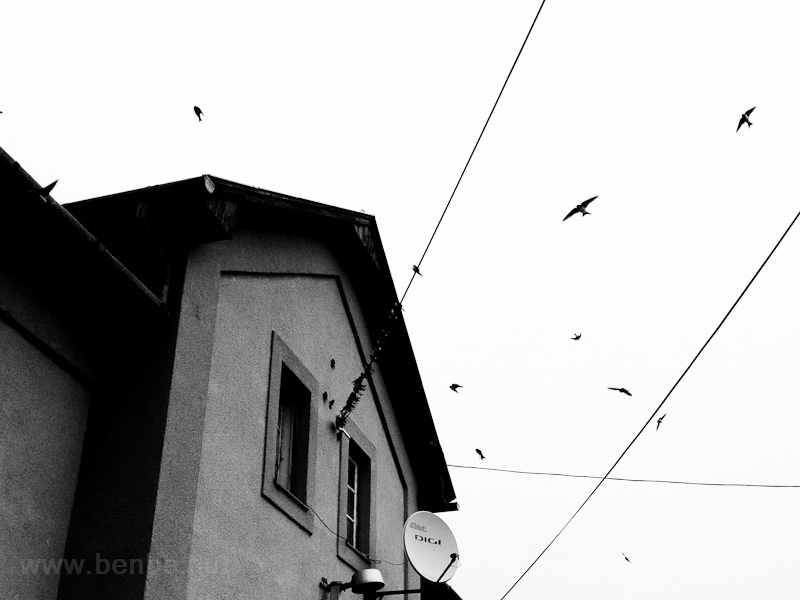 I apologise for any inconvenience. 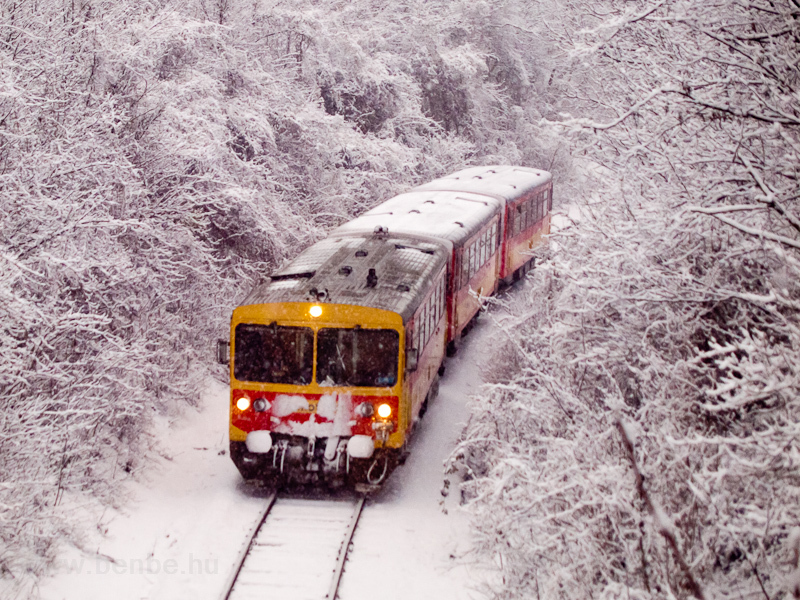 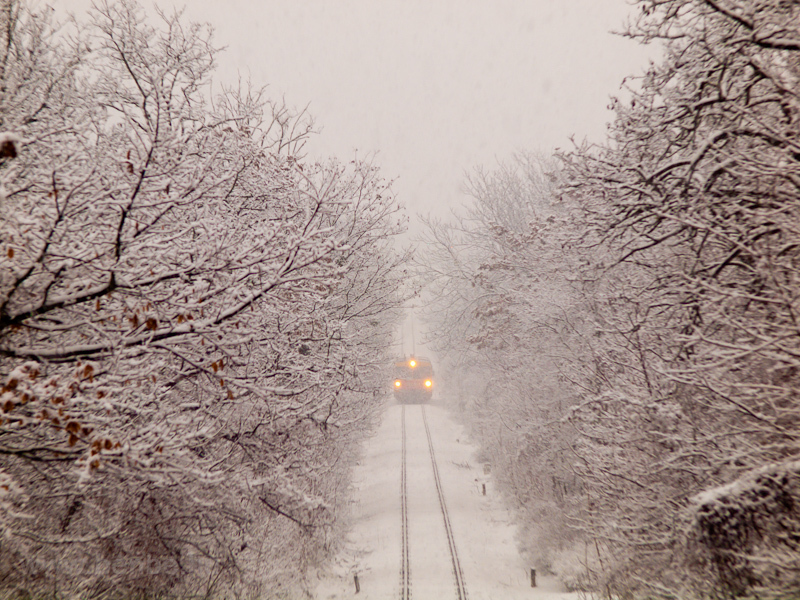 The train is being preheated! 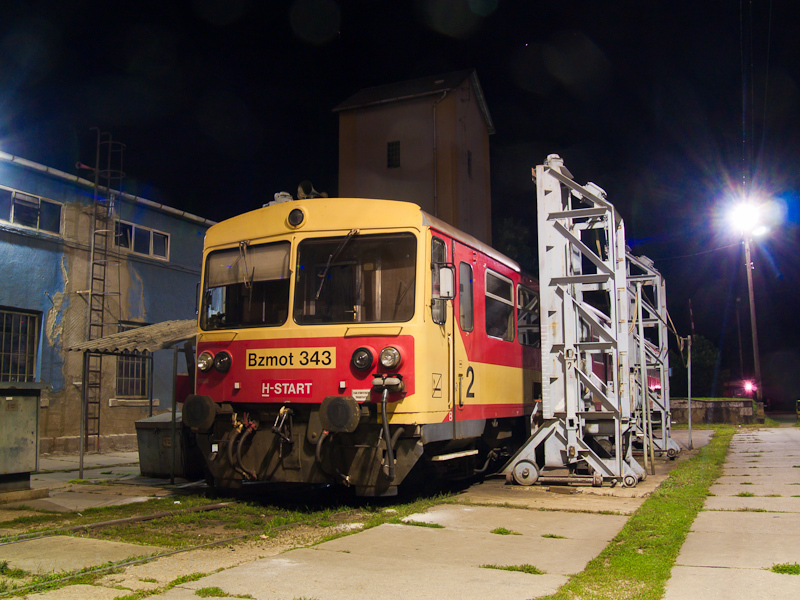 The standard, locally switched points have red and white counterweights while the spring-reversed point has a yellow one. 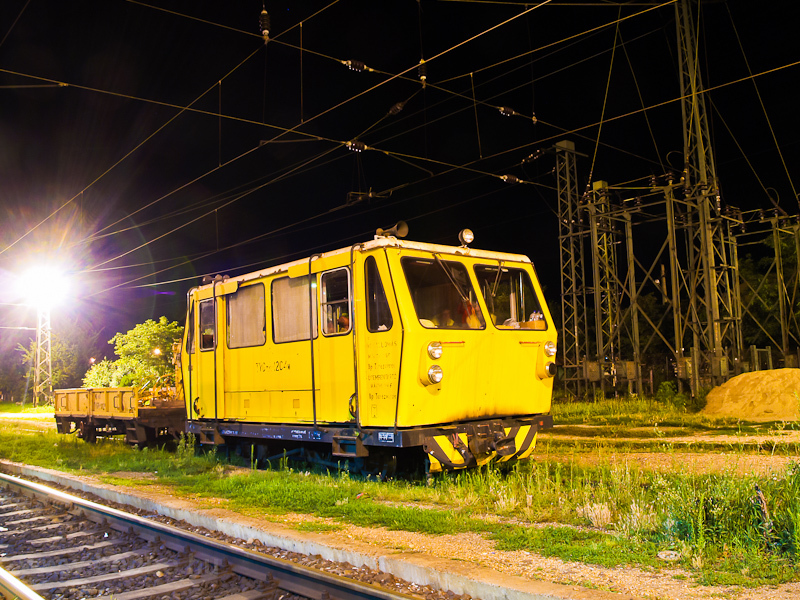 The signal is a special signal used on lines with radio control or a system where the train crew asks for running permissions for themselves: here the signal doesn't allow you to proceed to a track (has no way of knowing if it's empty) only tells you that the technical conditions are met for proceeding (the spring-reversed point is in its standard state and the barrier is operational and closed). 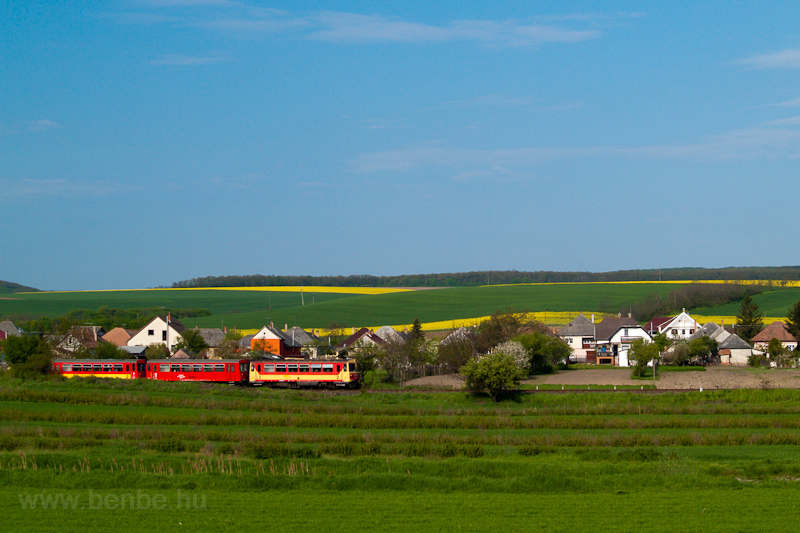 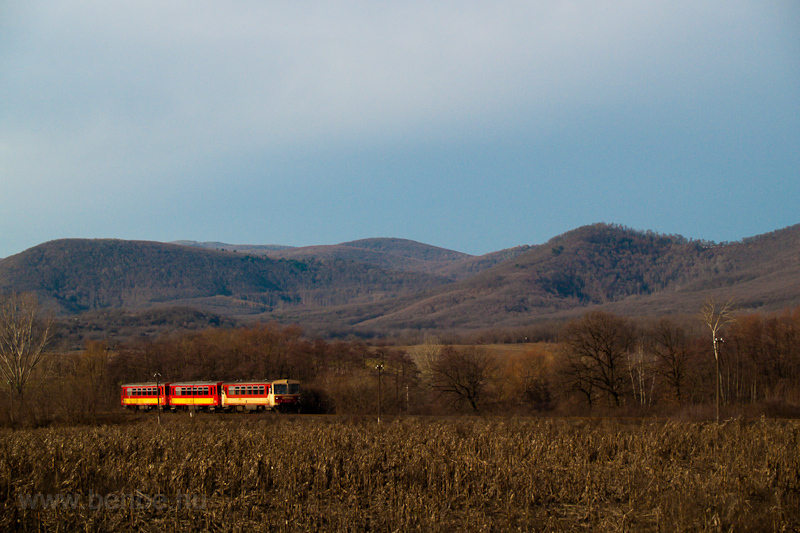 This one is a personal favourite - not because of the precise 45° sunny side composition (it is not that kind of perfect, it's not a wedgie), but because it has the quintessence of all the things I find beautiful in nature - a mountain range, characteristic trees, a quiet village and a rural area with a very rural railcar. 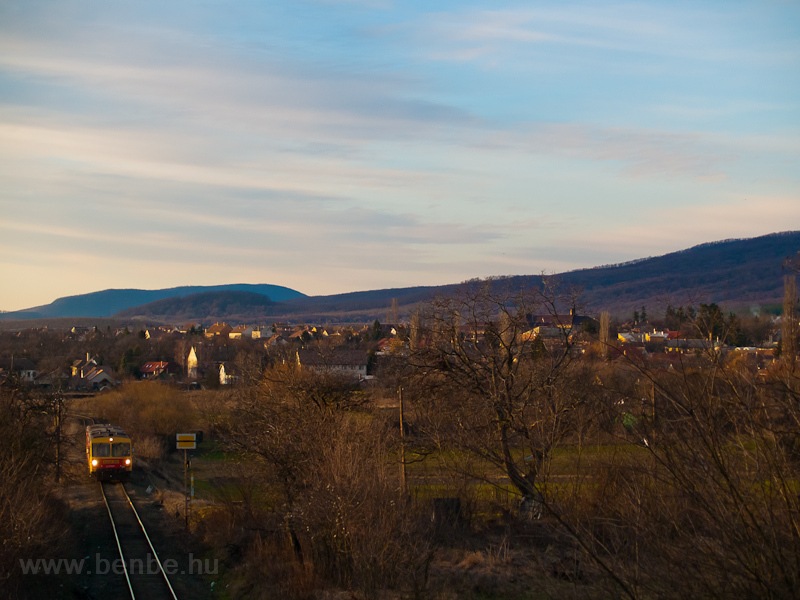 Only some snow, mist and the smoke rising from the houses is missing for a perfectly atmospheric shot of the little village of Diósjenő. 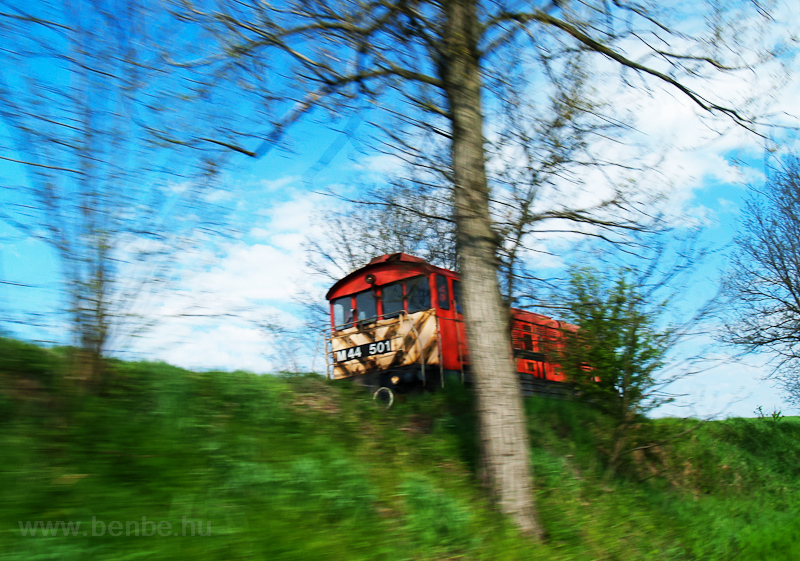 So we went to take a few shots of the weed killer train. 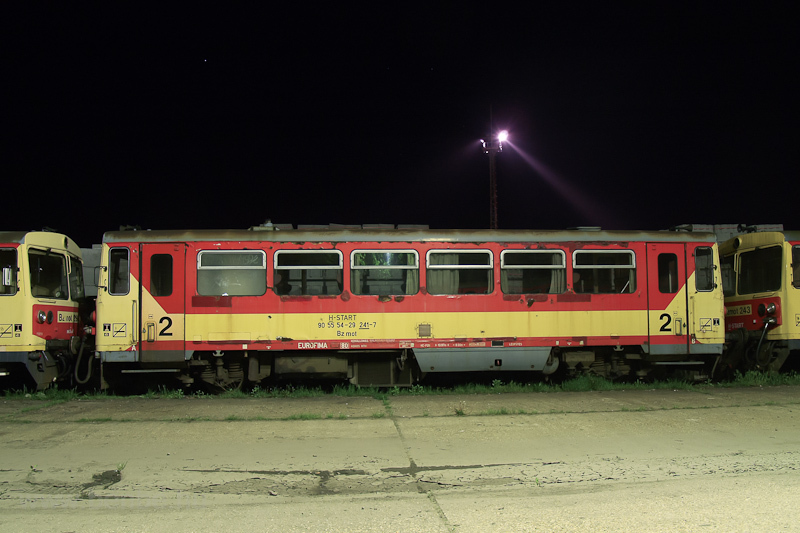 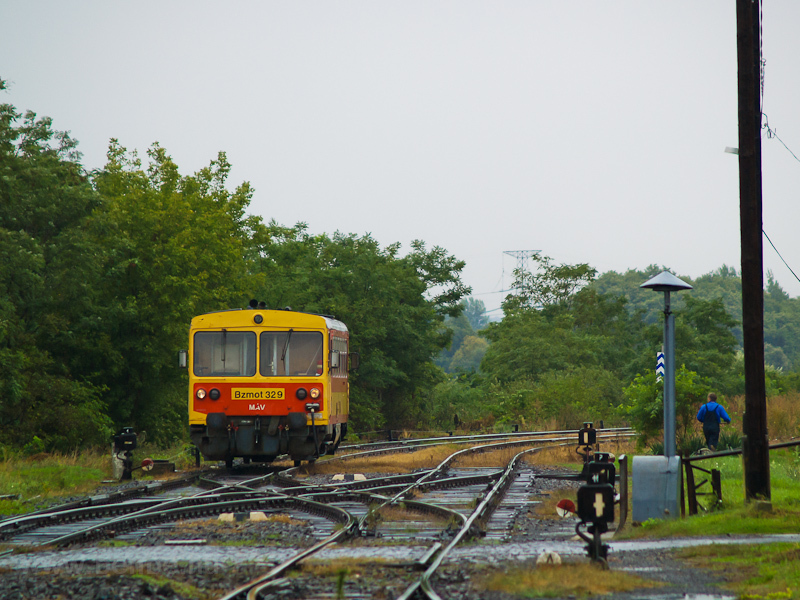 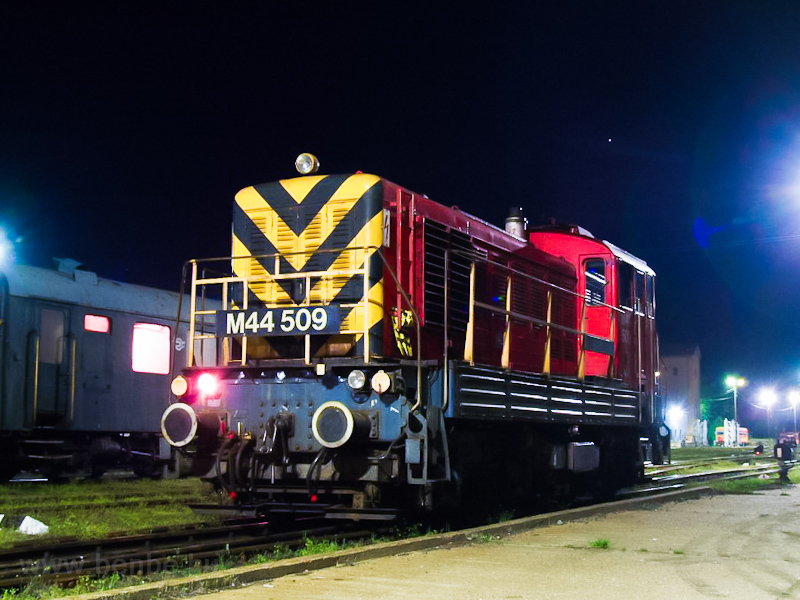 It was waiting for departure at Rákos station, but when the engineer had arrived from Balassagyarmat, he realised that a remotorised M47 was heading it, a type of locomotive he wasn't trained to drive. 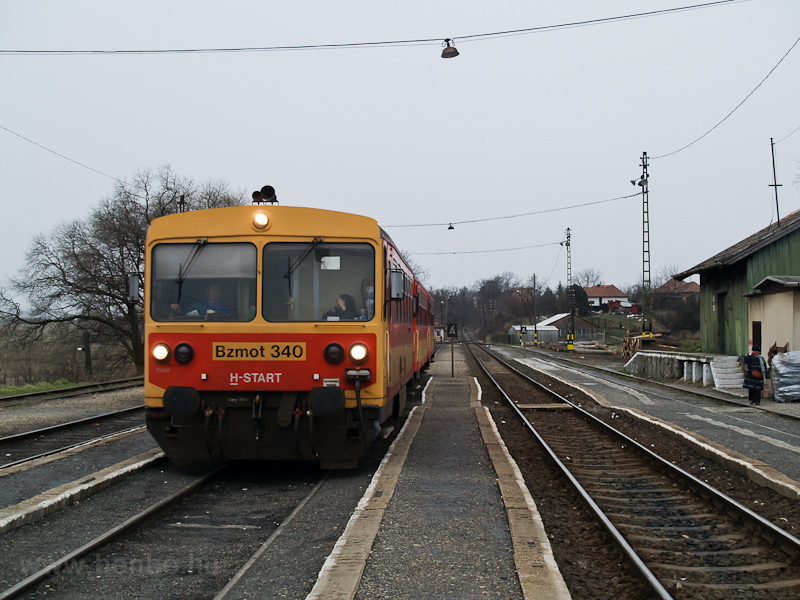 So they sent a car for him, went back to Balassagyarmat and took M44 501 with which he managed to get to Aszód station by afternoon. 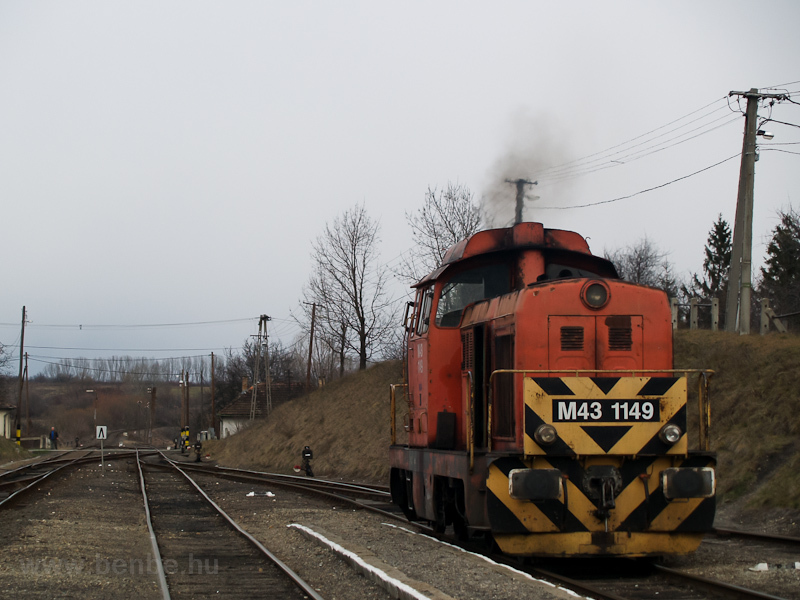 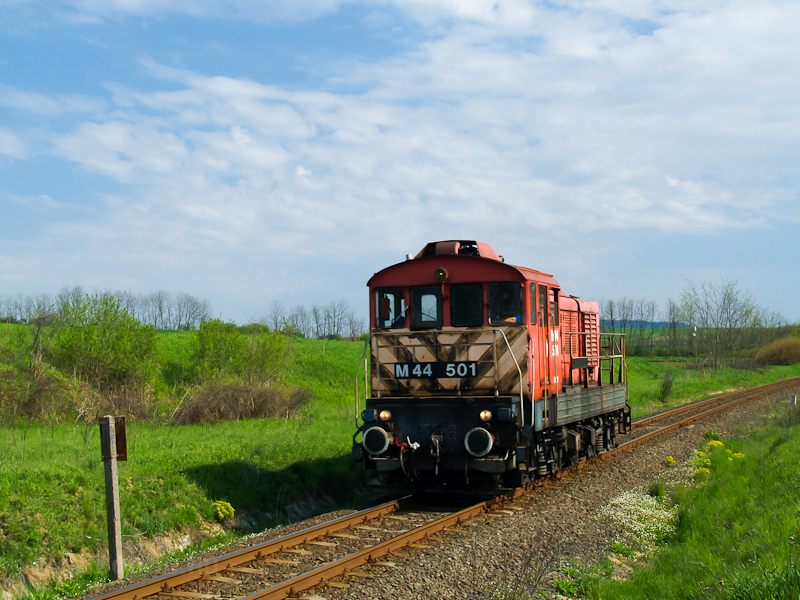 After that, the old M44 broke down, so he took a car again and returned by the trusty M47 2041, that finally managed to haul the weed killer train all around line 78 and its branches. 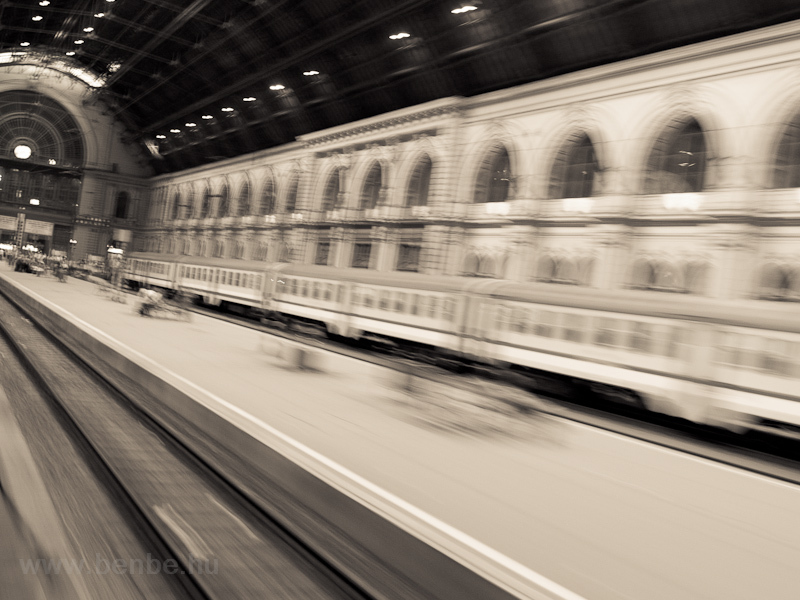 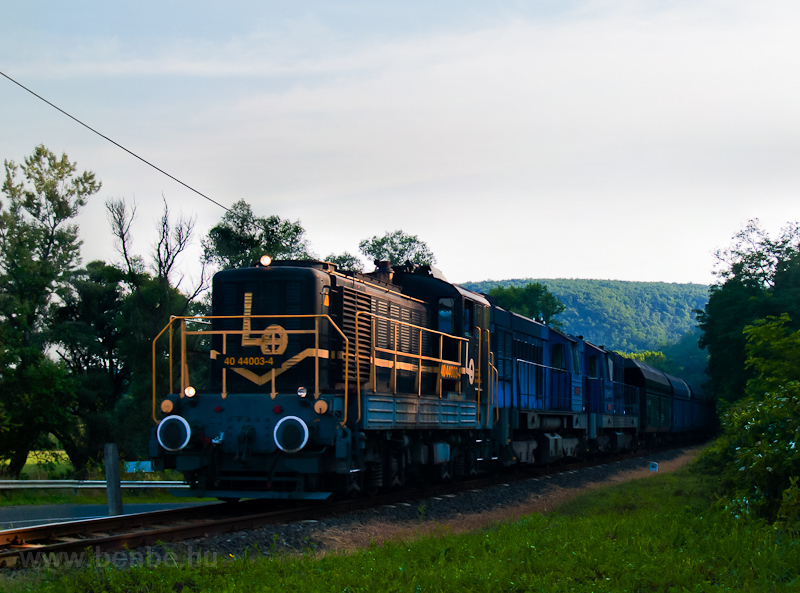 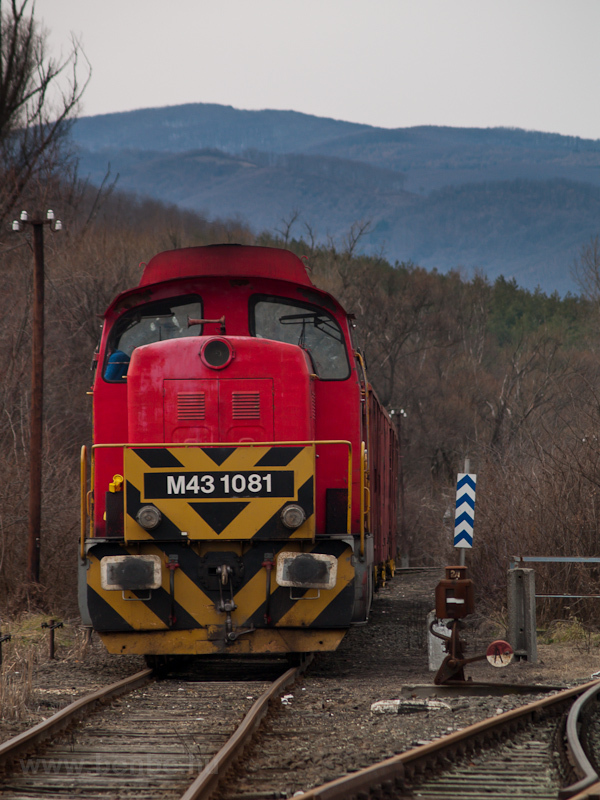 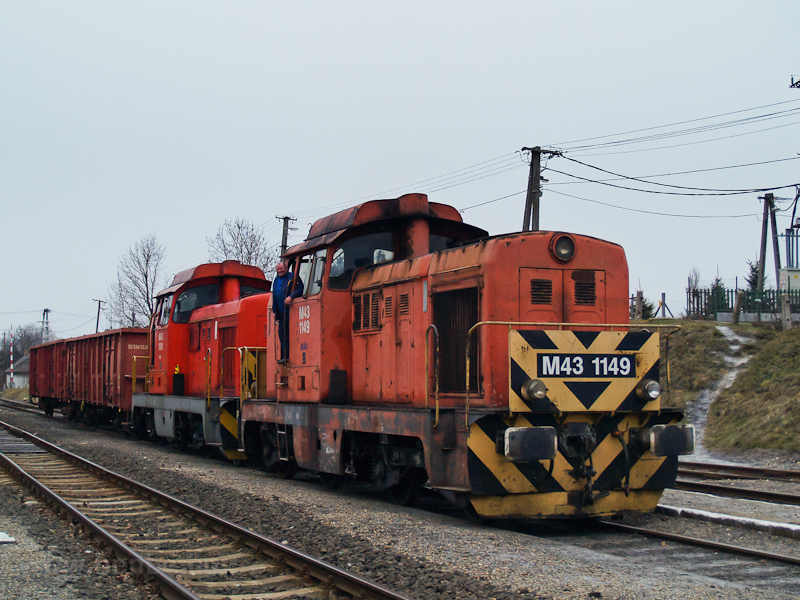 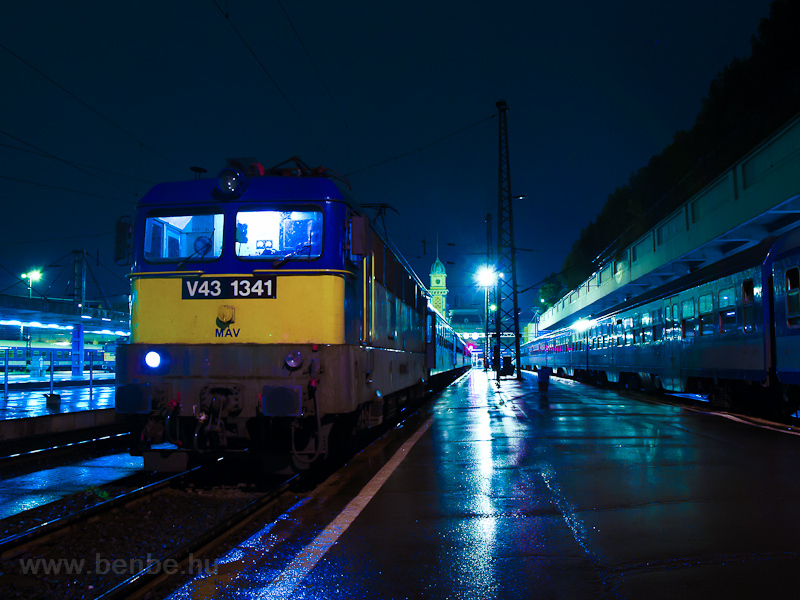 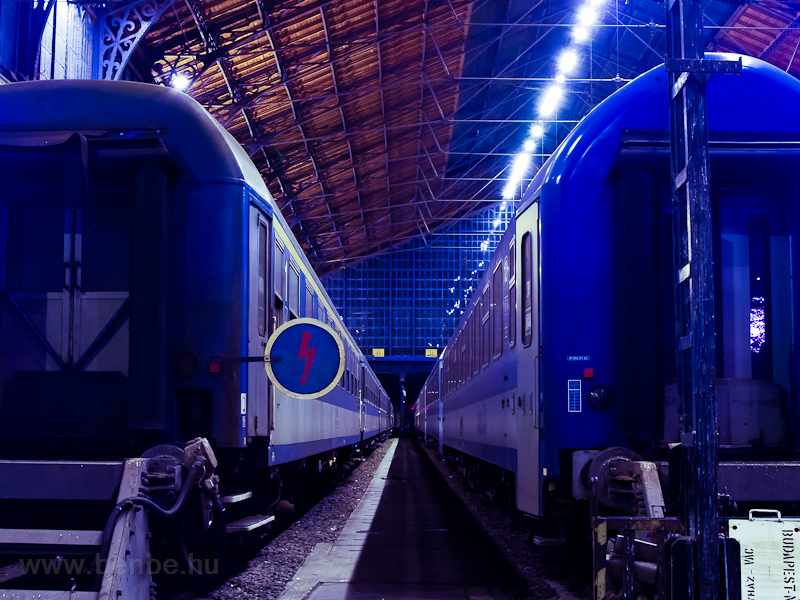 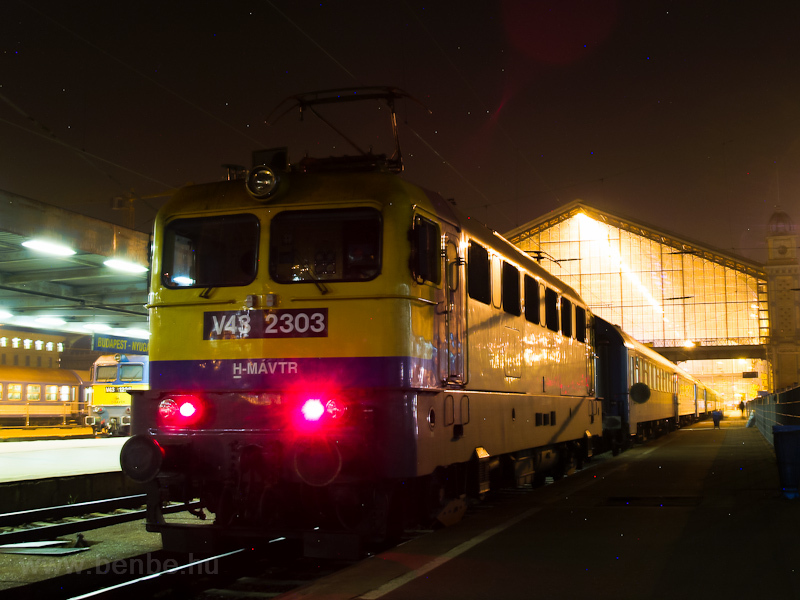 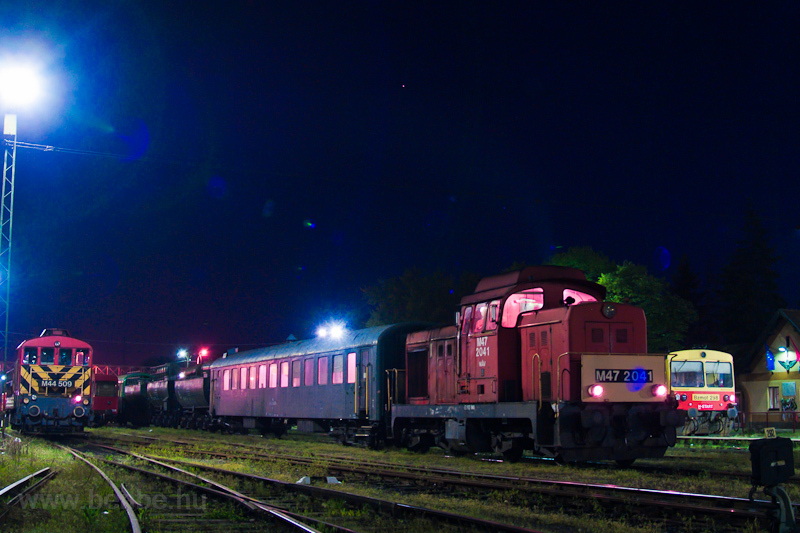 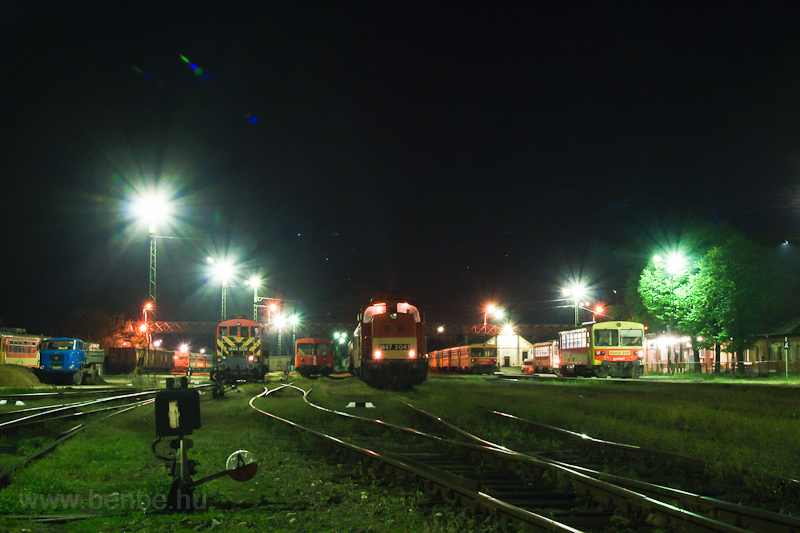 Photographing early morning freight trains without a car was not easy: I travelled to Balassagyarmat with the late train and then spent four hours of the night in the cold at the station. 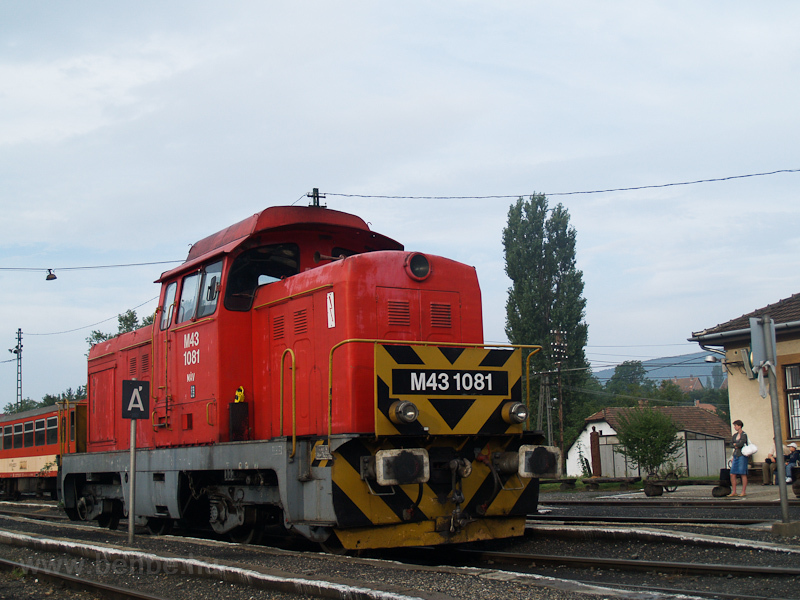 This is a freight train from LuČenec, Slovakia to Velky Krtis, Slovakia, but because of the terrain, the Slovakians built the railway accross Hungary - something the peace treaty of Trianon allowed them to do. 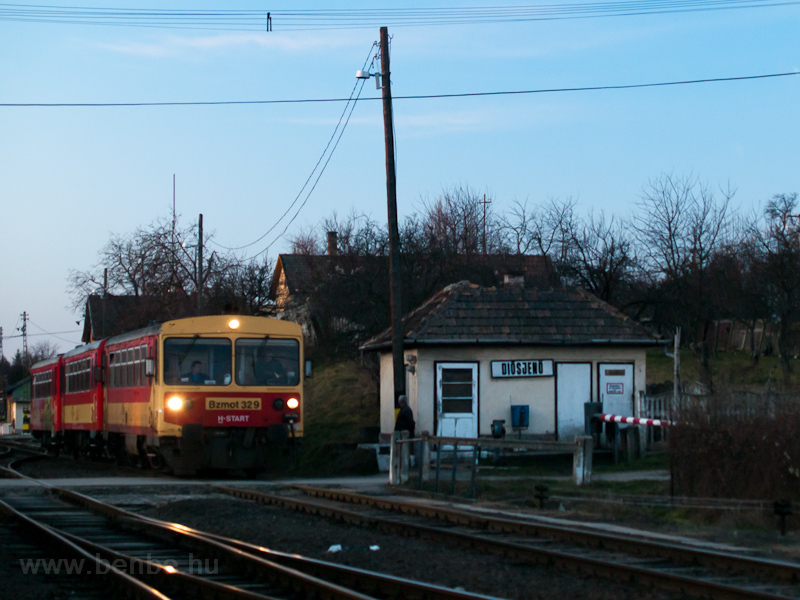 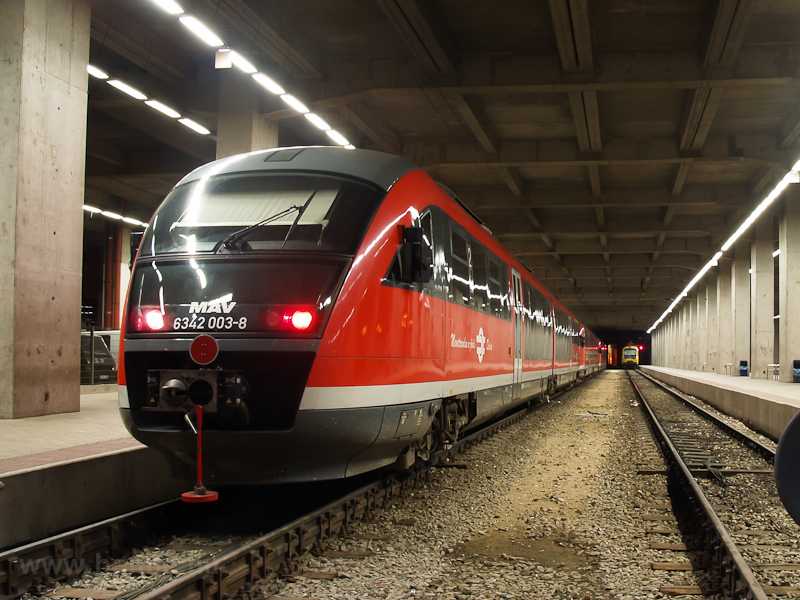 On the Hungarian section they use the tracks of line 78b, a line they helped reinforce using Slovakian rails. 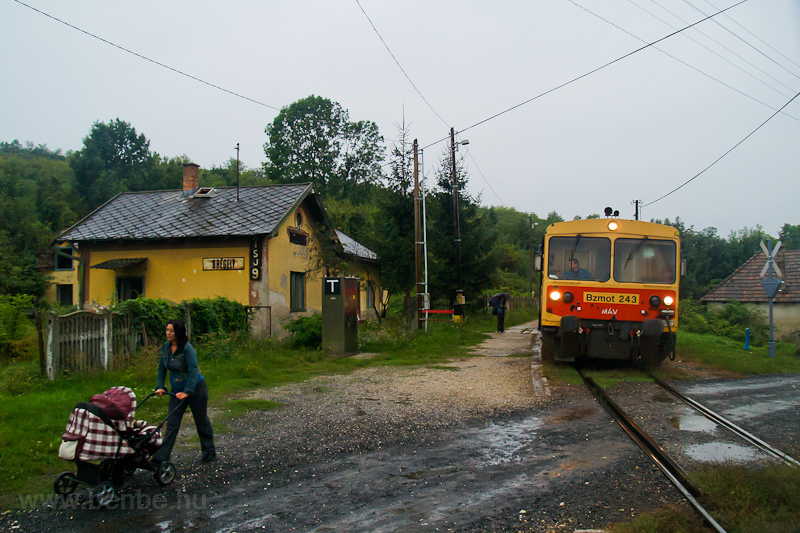 After a severe flood in 2006 it was thought the line would not be rebuilt, but because of the Slovakian need for the line (and the regulation of the peace treaty) MÁV rebuilt. 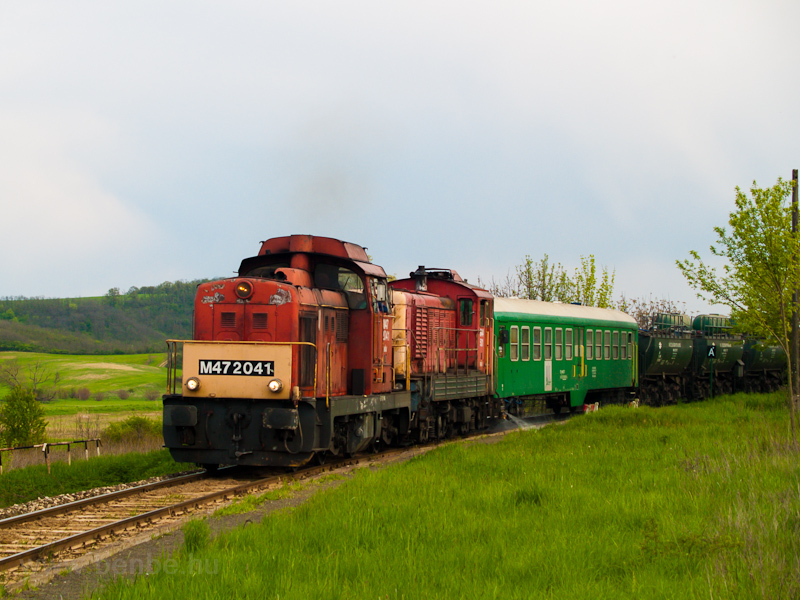 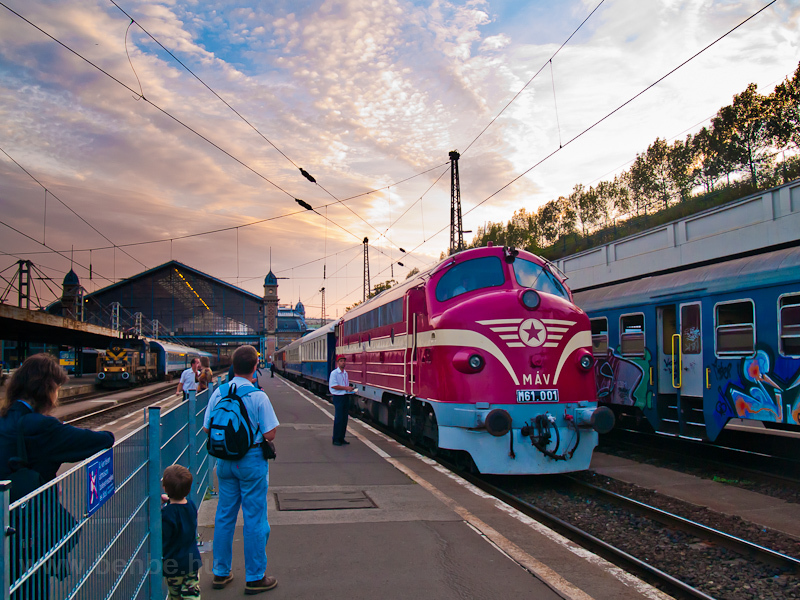 Because the Slovakian locomotives didn't have the necessary papers to travel in Hungary, a Hungarian private locomotive was added to the front of the train. 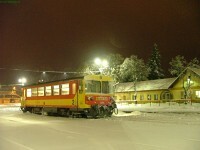 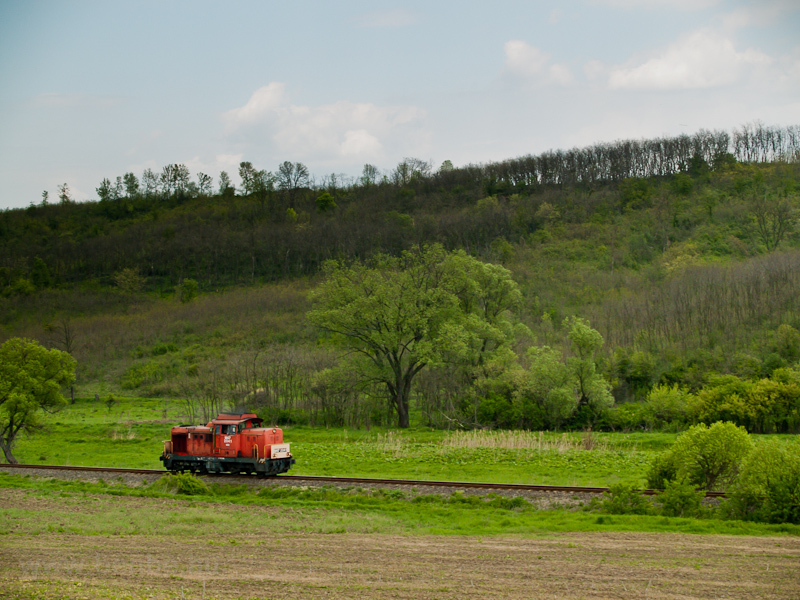 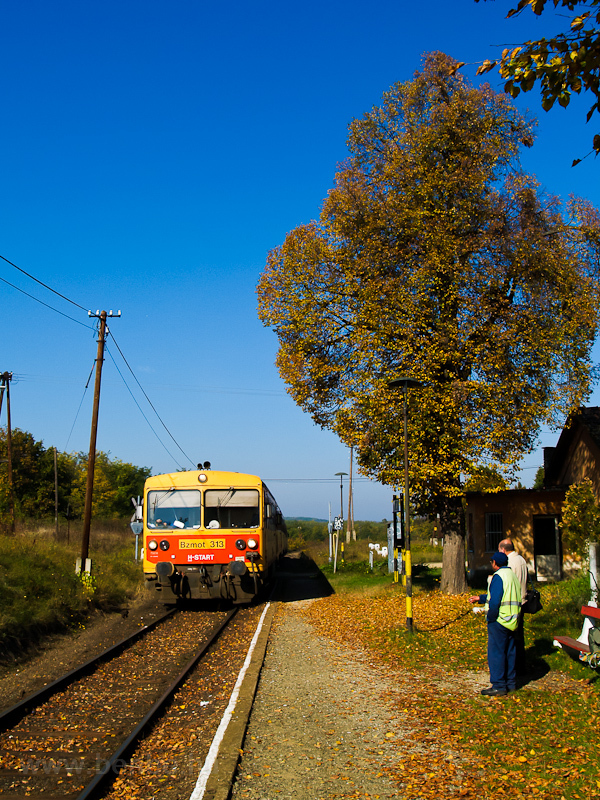 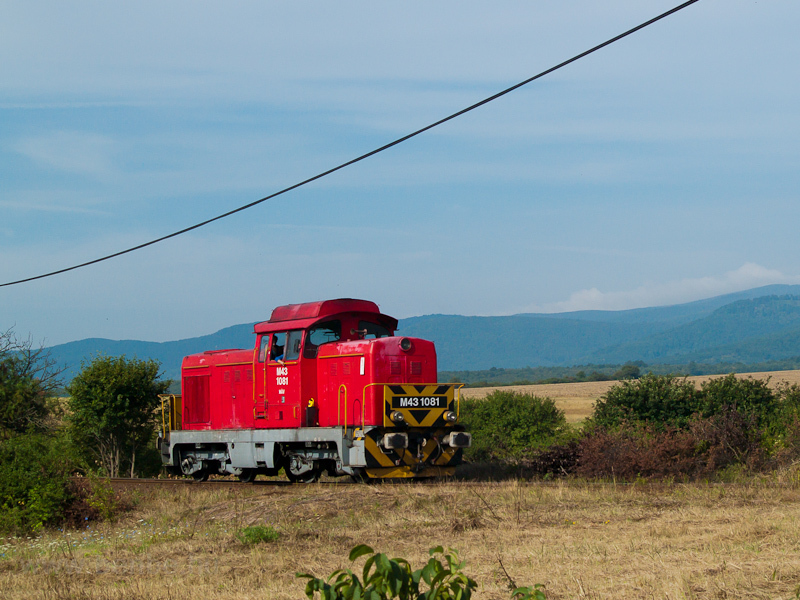 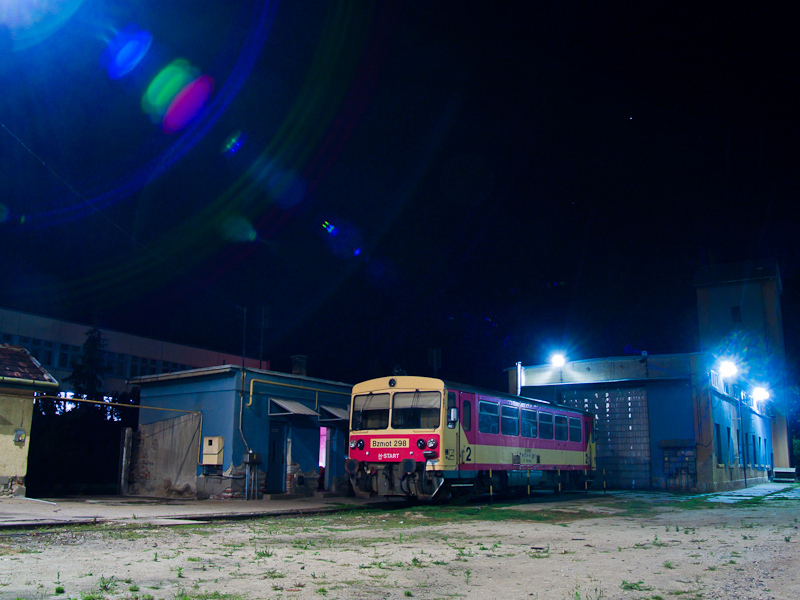 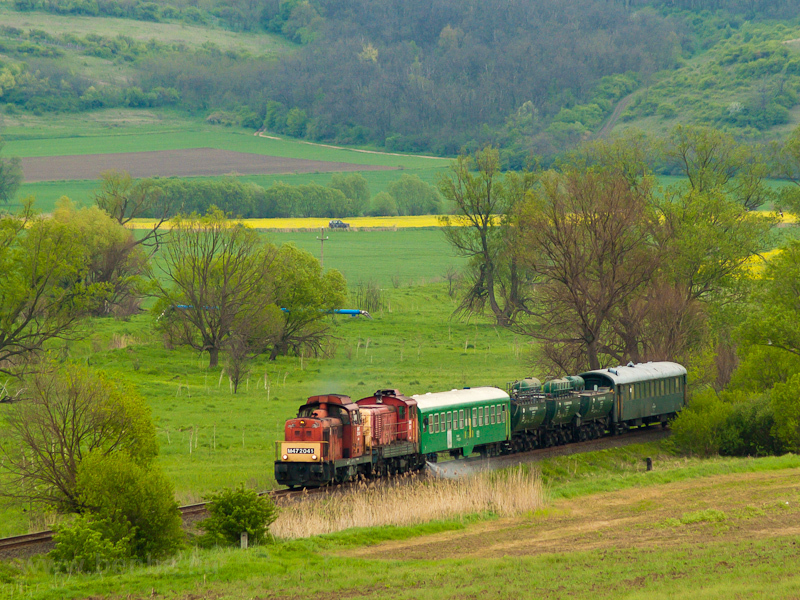 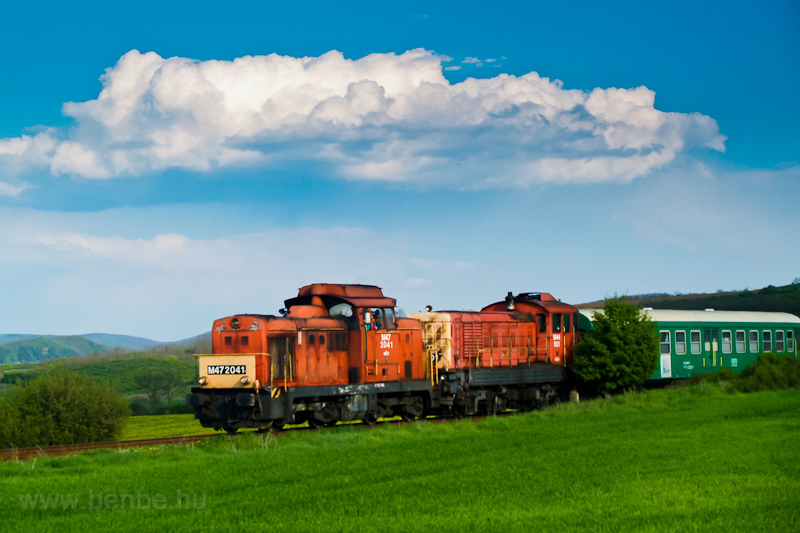 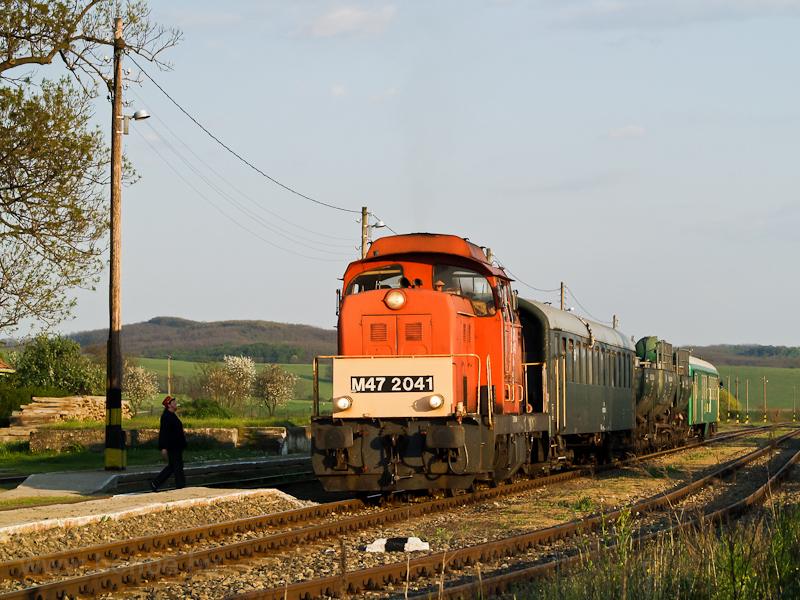 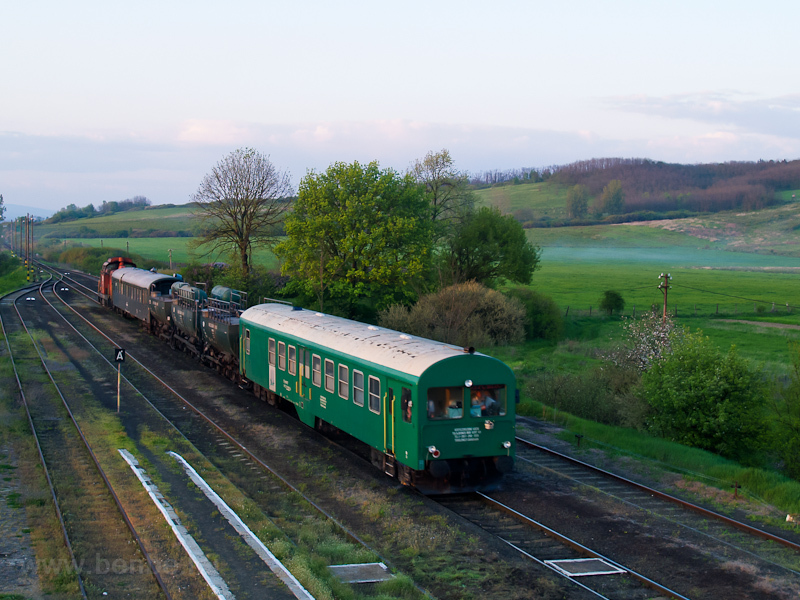 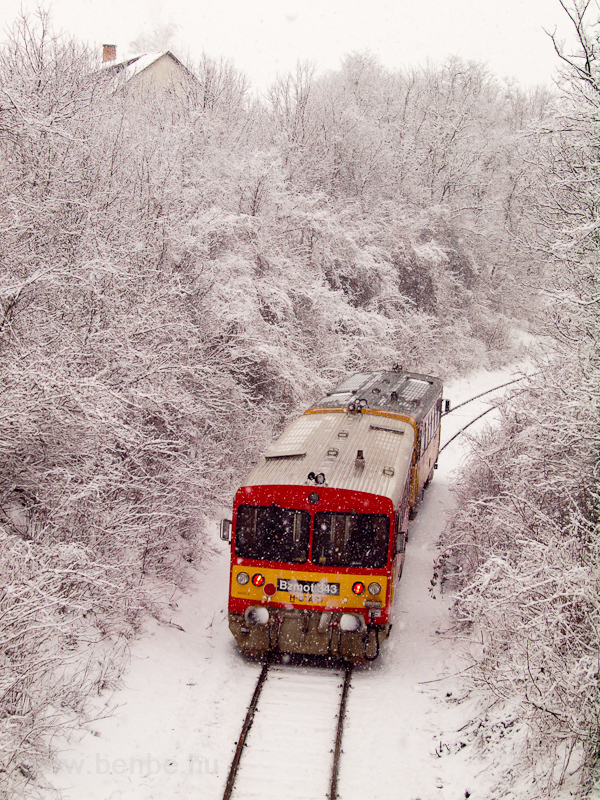 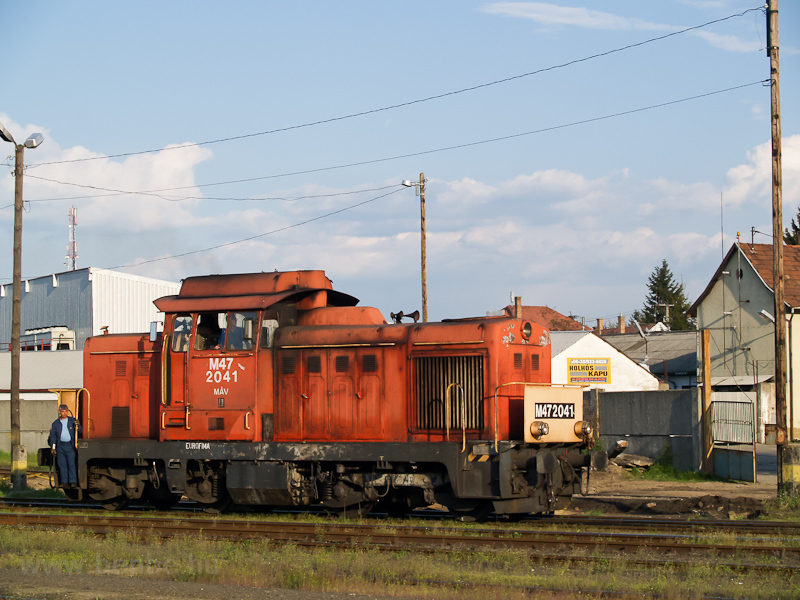 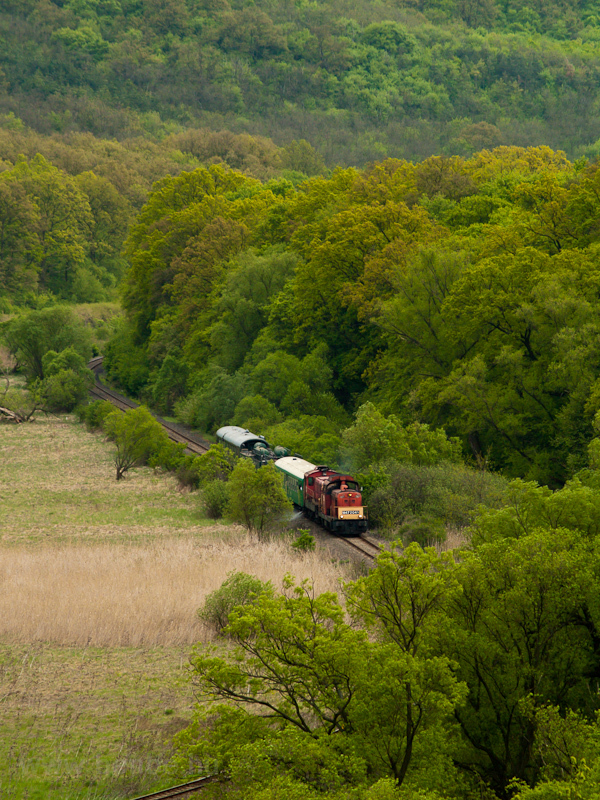 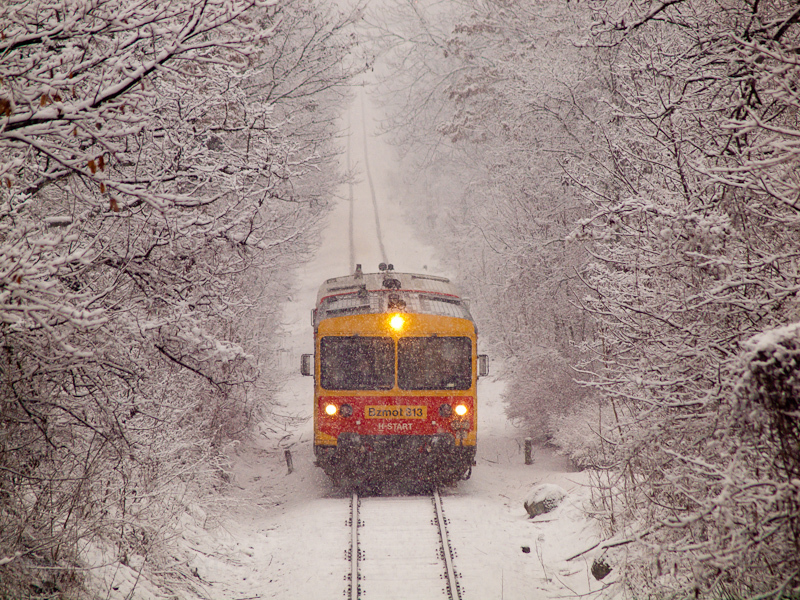 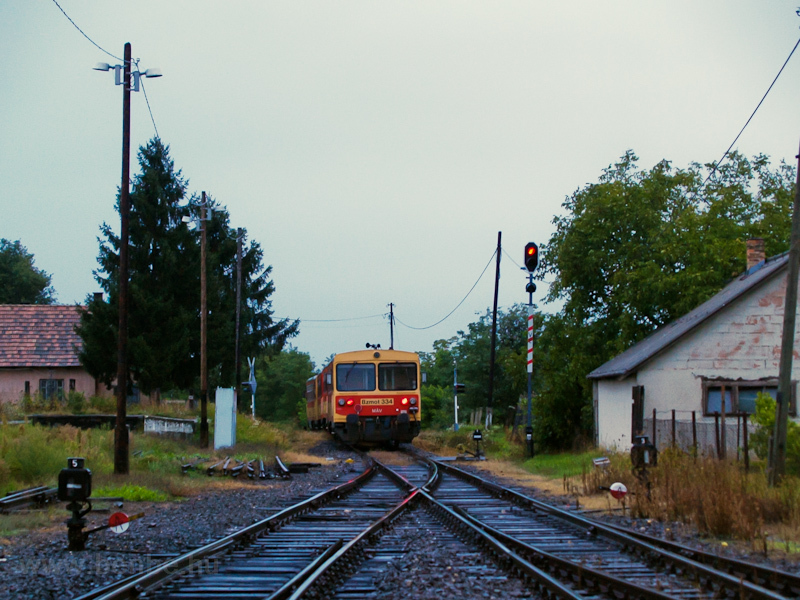 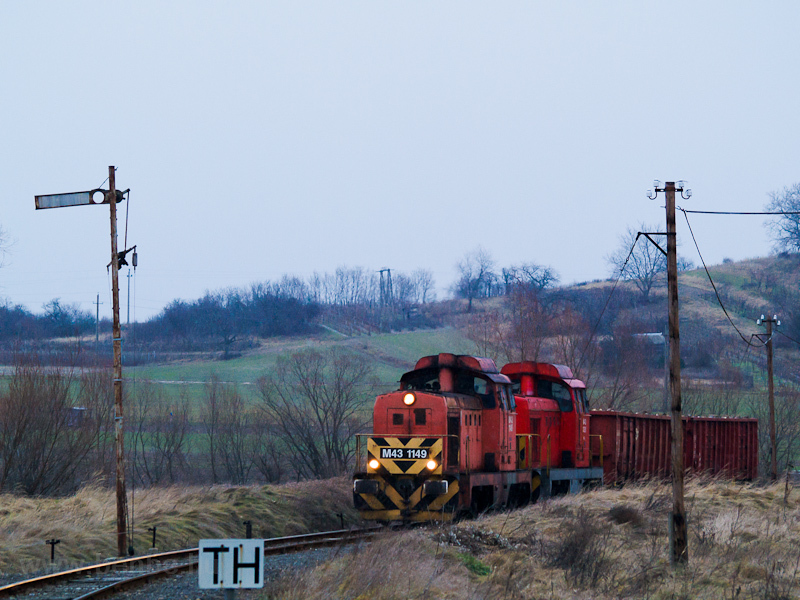 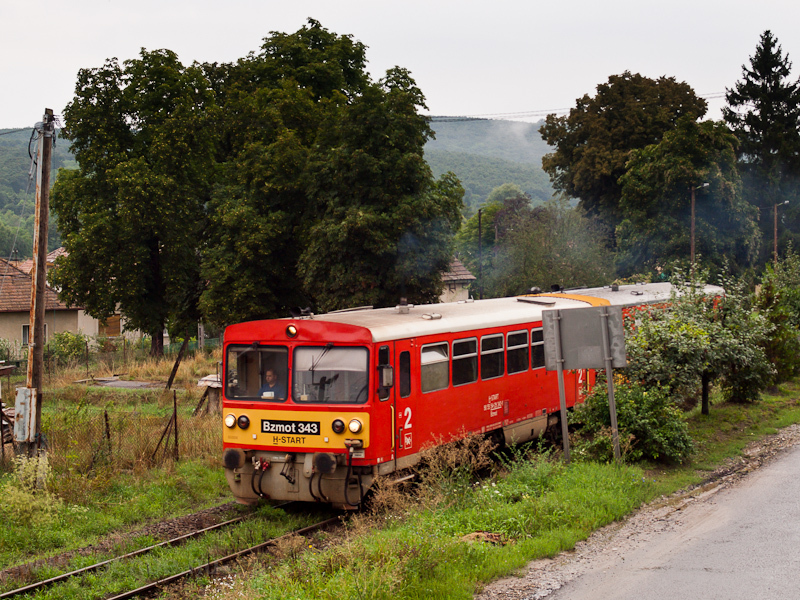 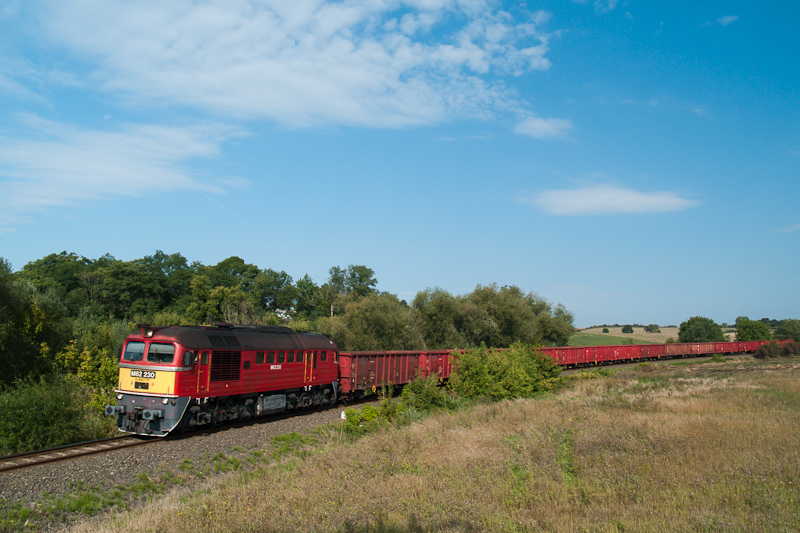 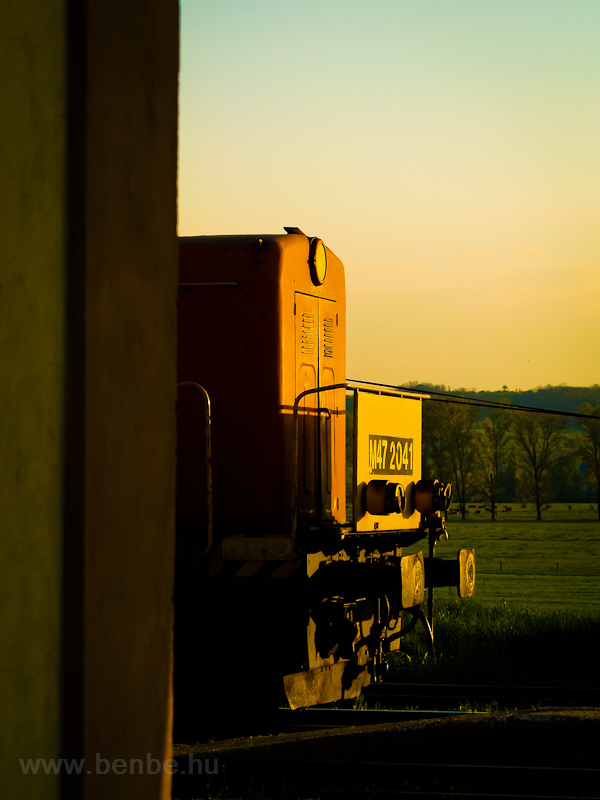 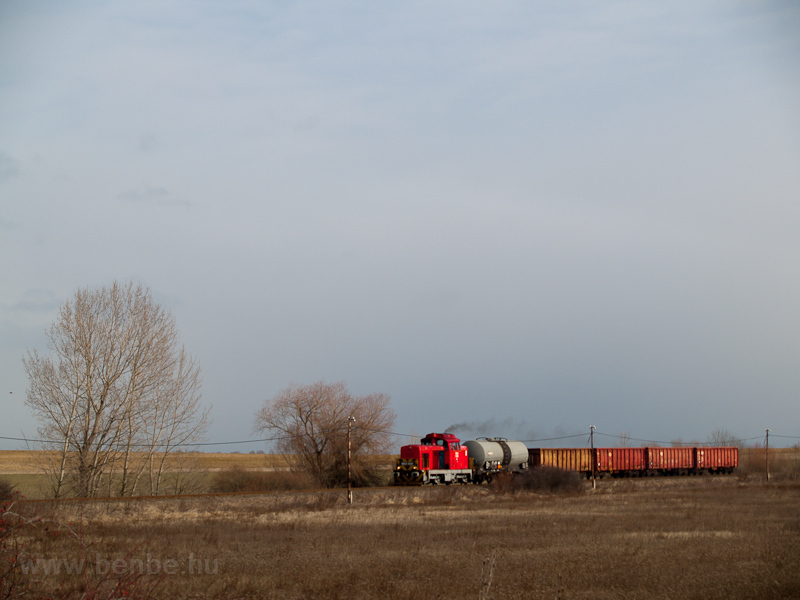 Nowadays mostly ŽSSKC locomotives run on the track with the local freight travelling as far from the péage track as Szécsény, where ŽSSKC loads lumber for Hungarian forests (as the Austrian-owned RailCargoHungaria refuses to transport the lumber on the Nógrád network). 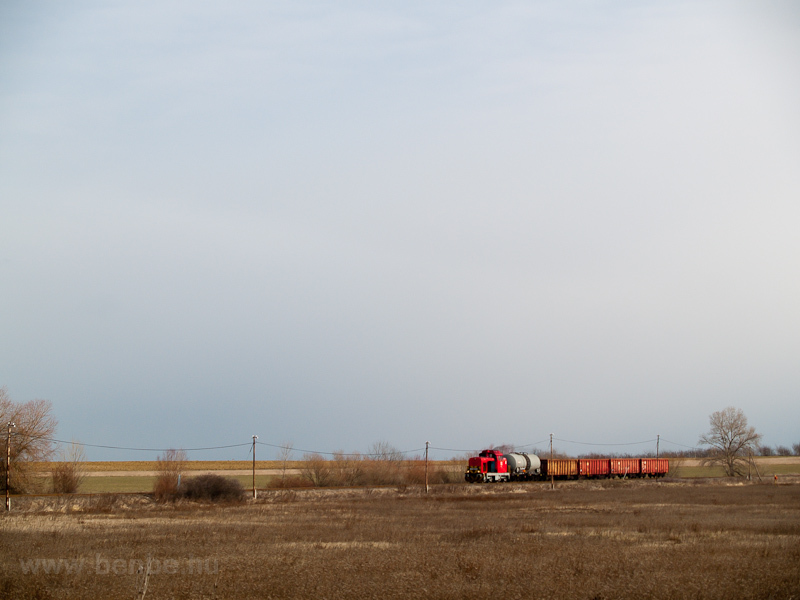 In fact, it is road number 999.